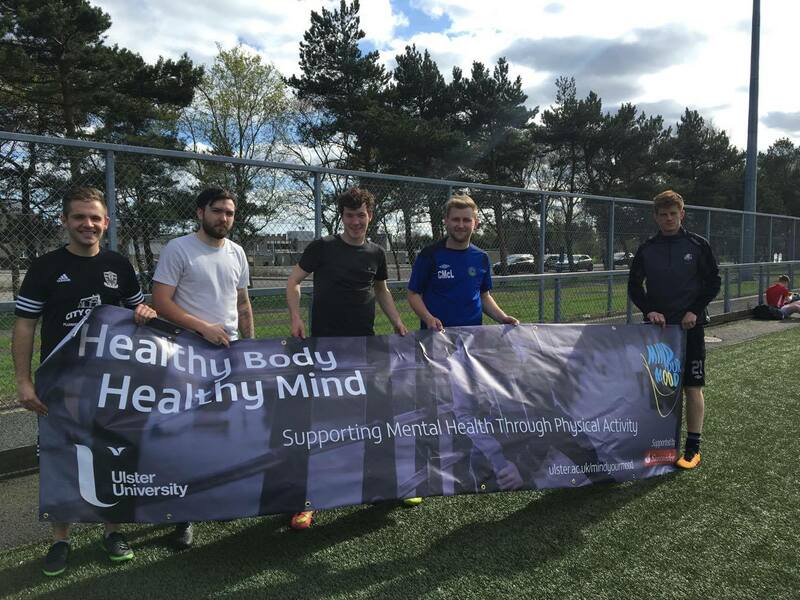 In May 2018, over 220 Ulster University students, staff, gradates and friends came together to raise an amazing £33,500 to help support our students’ mental health. 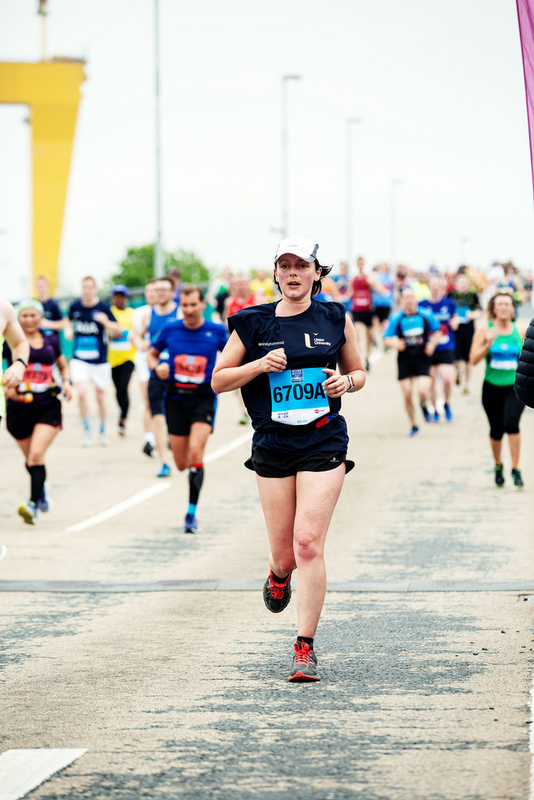 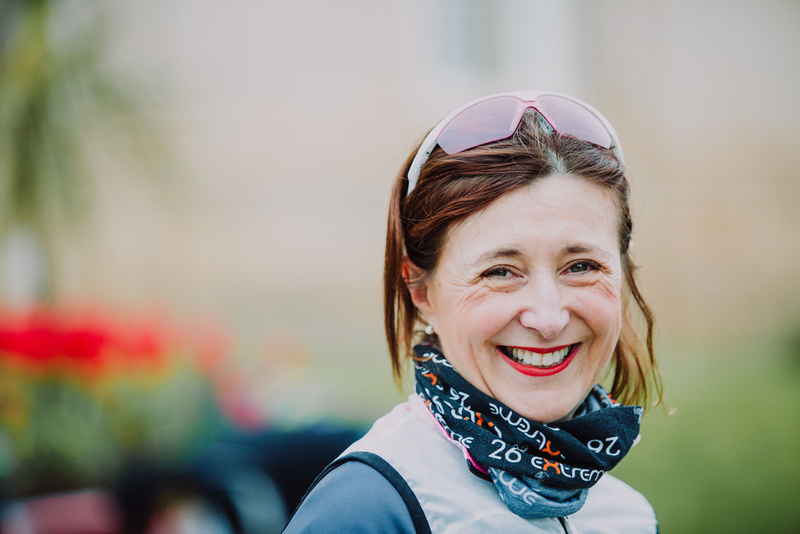 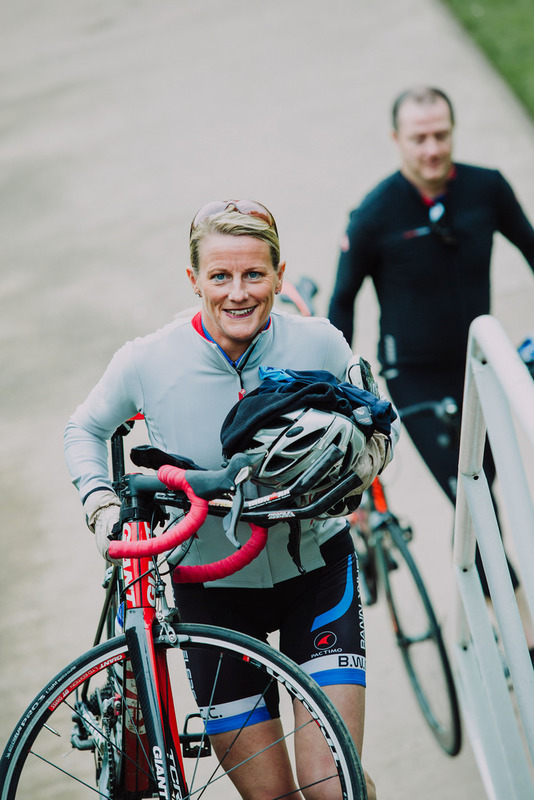 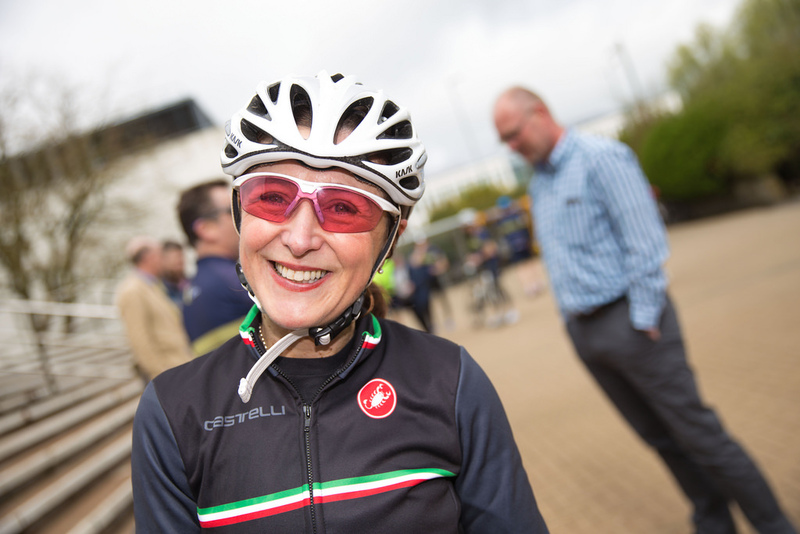 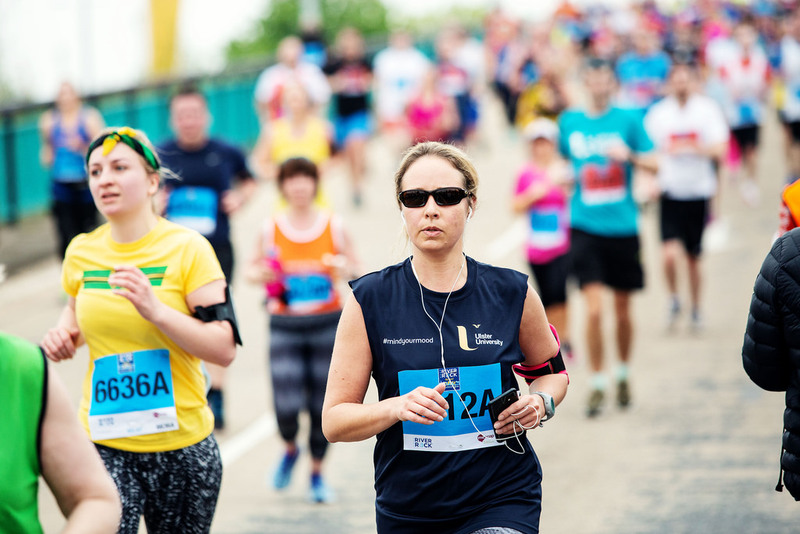 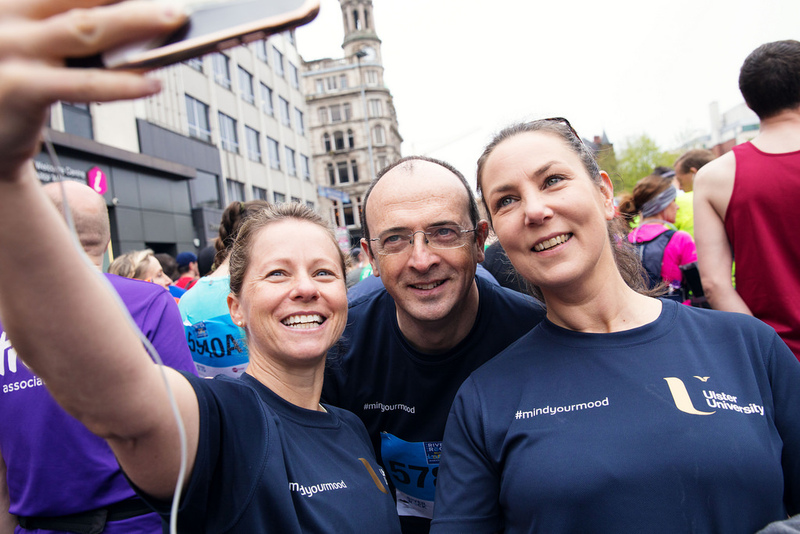 All the money raised, from running, cycling, football, events and coffee mornings, will be directed to our Mind Your Mood programme run by Student Support. 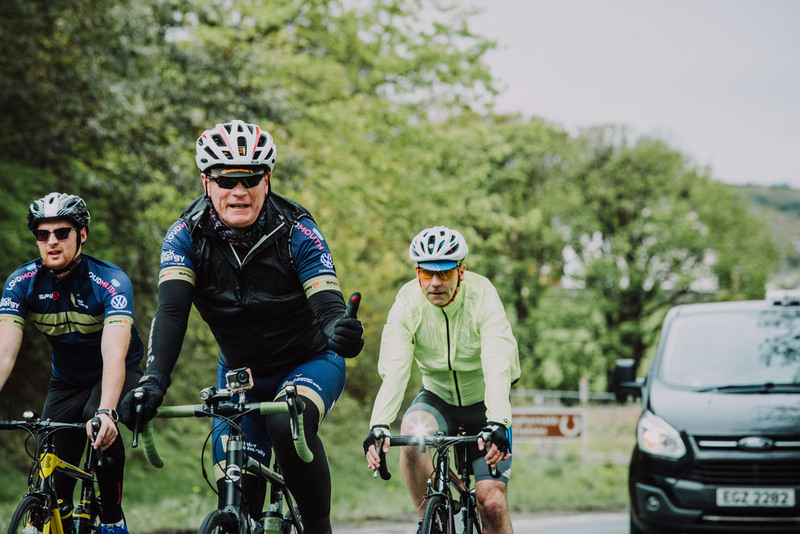 We are already looking forward to 2019 when we will build on this tremendous support and hope you will join us then. 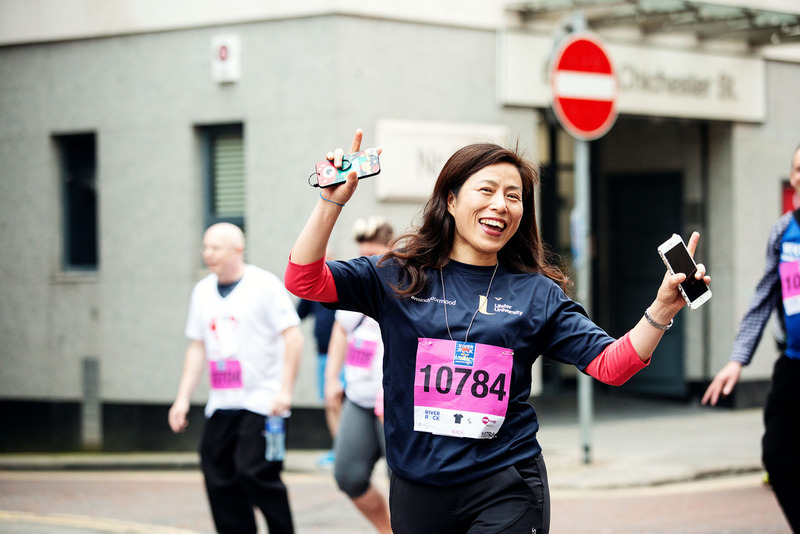 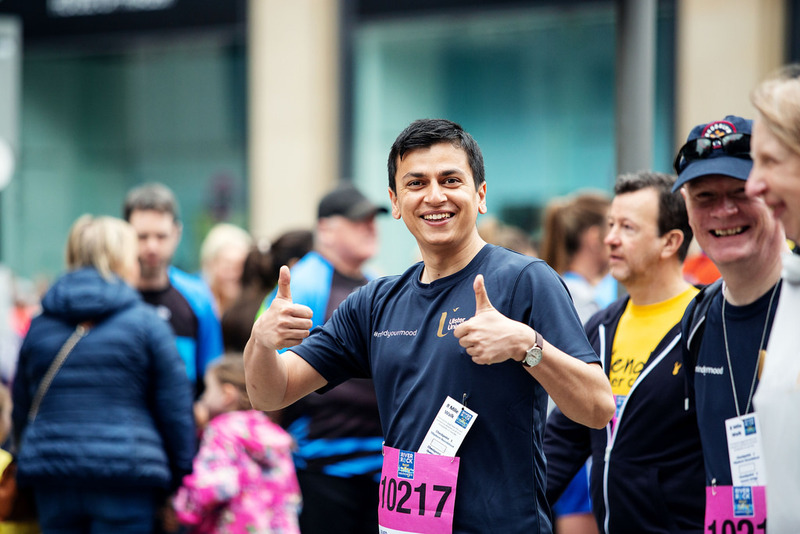 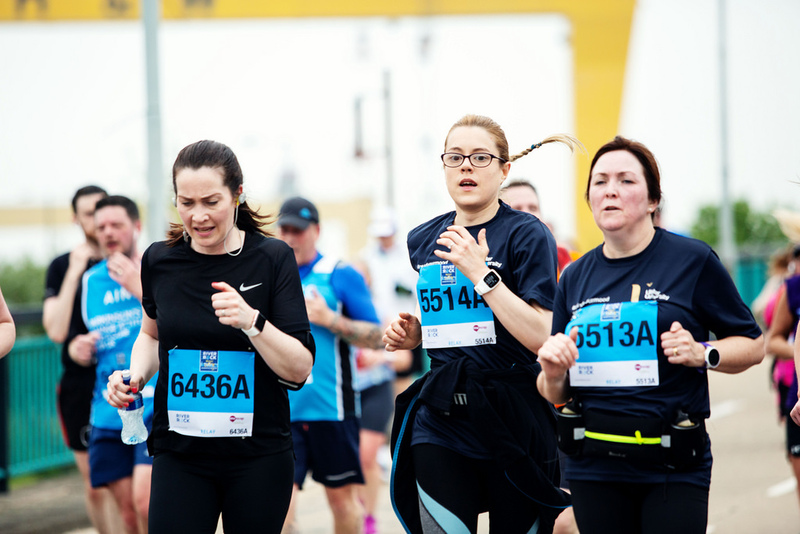 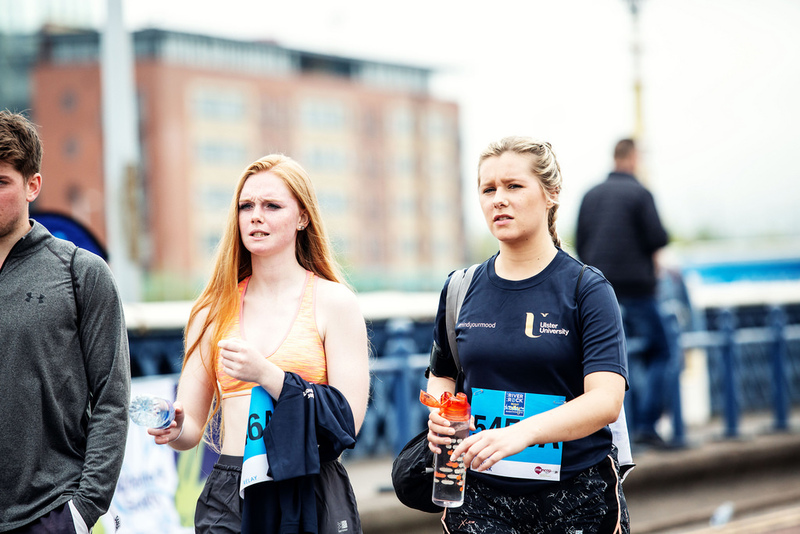 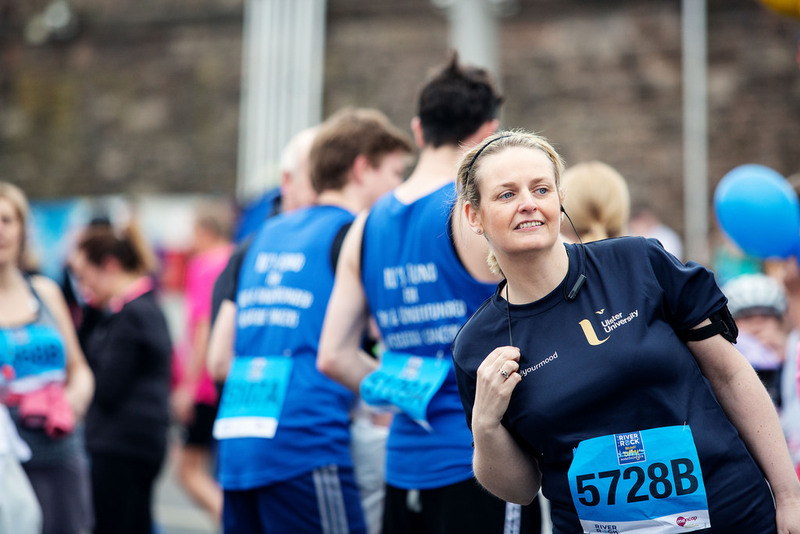 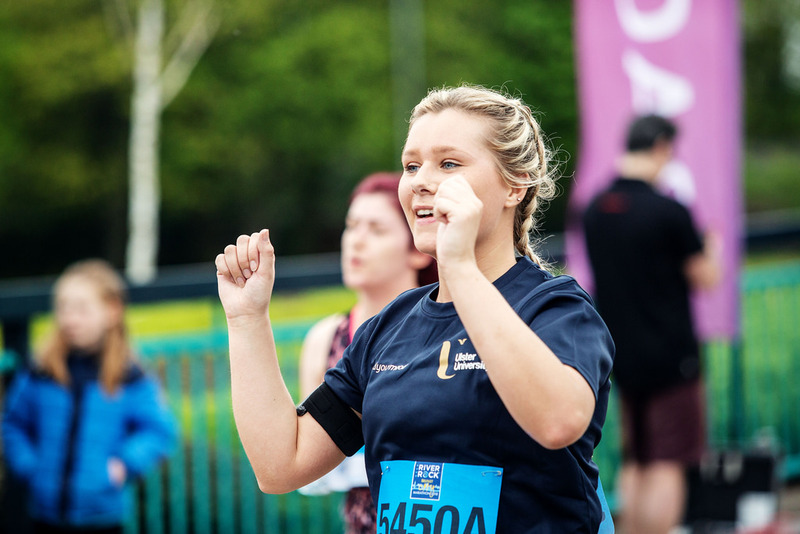 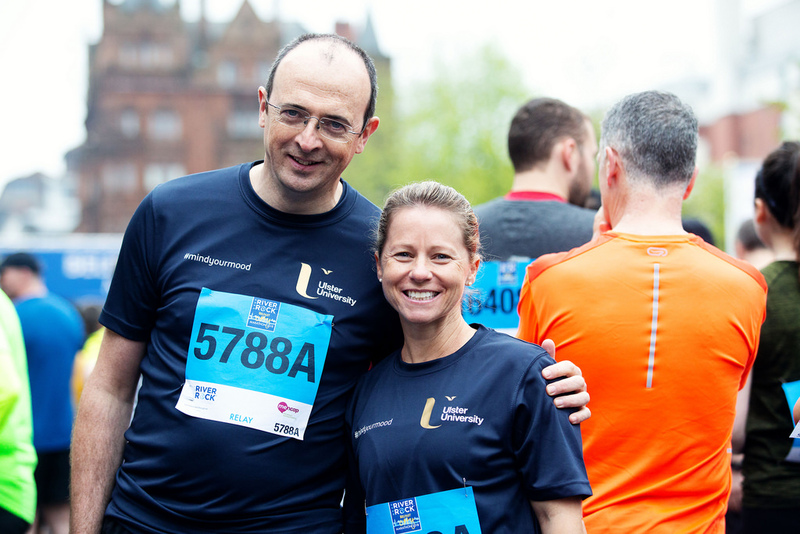 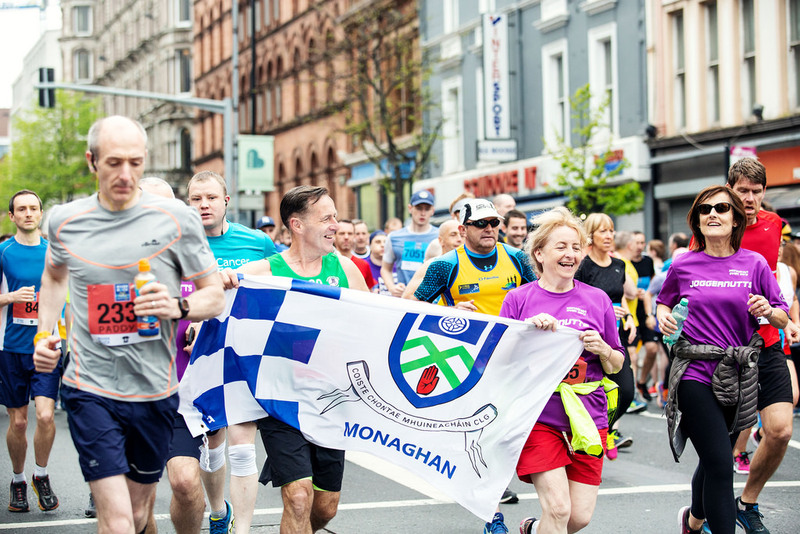 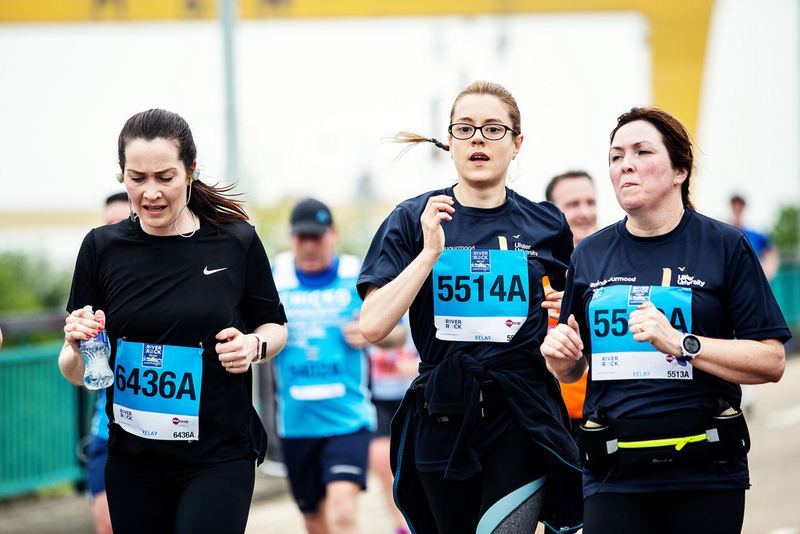 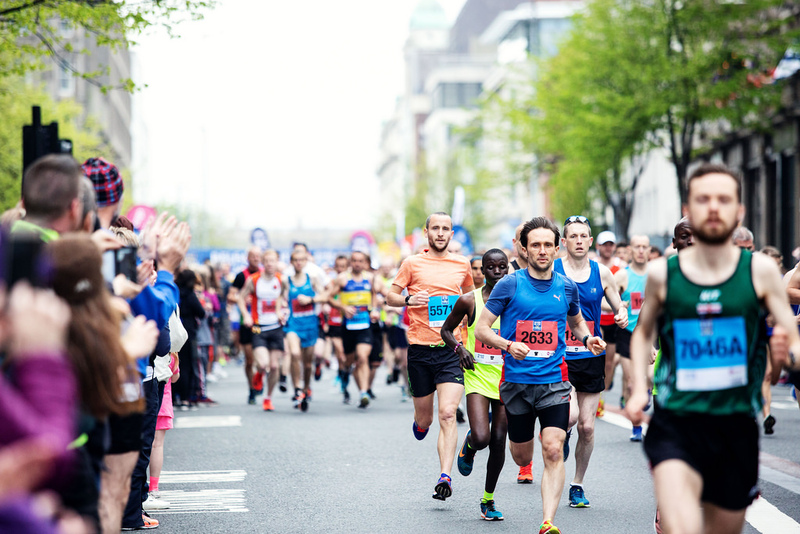 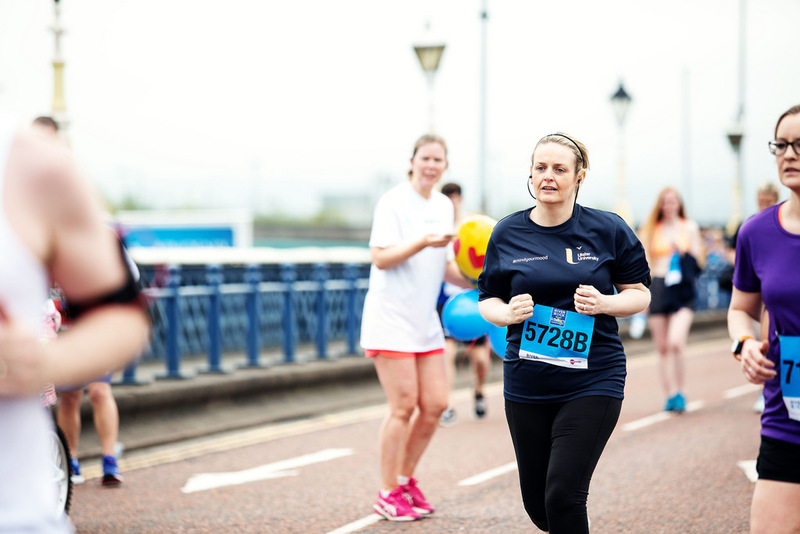 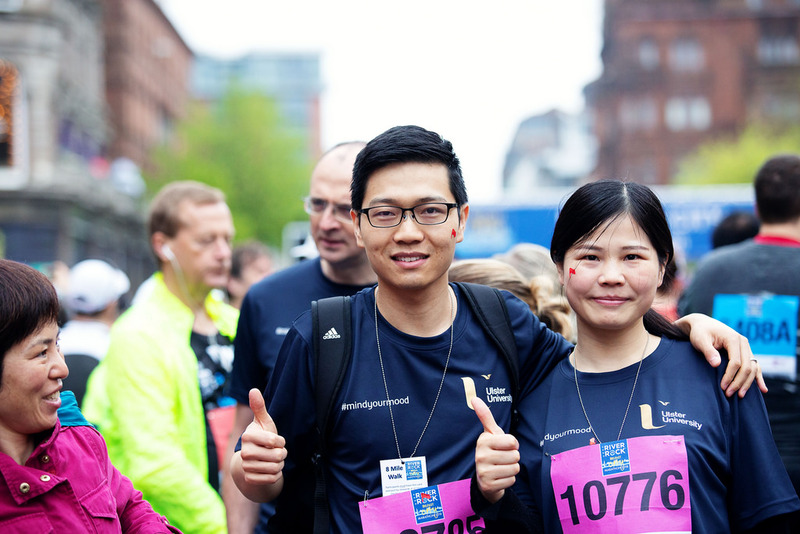 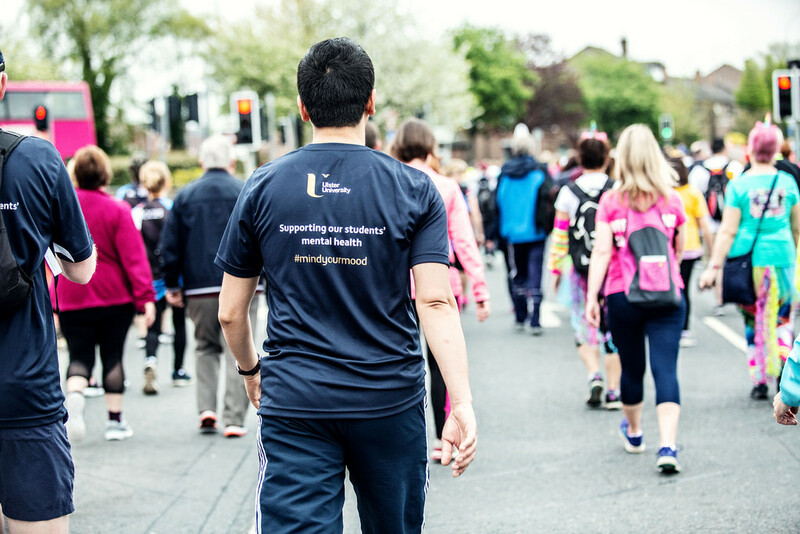 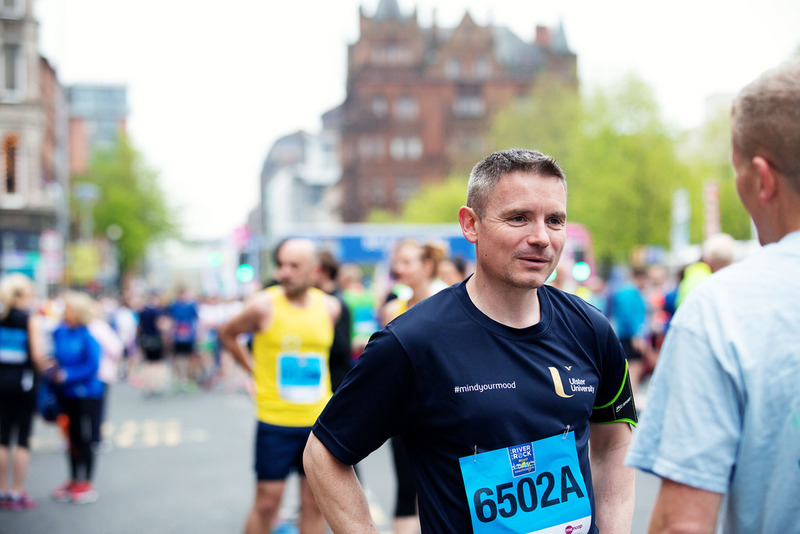 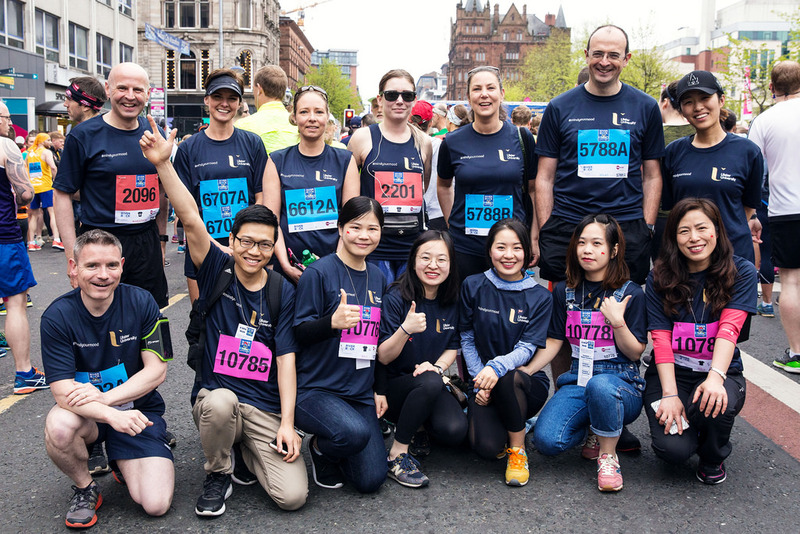 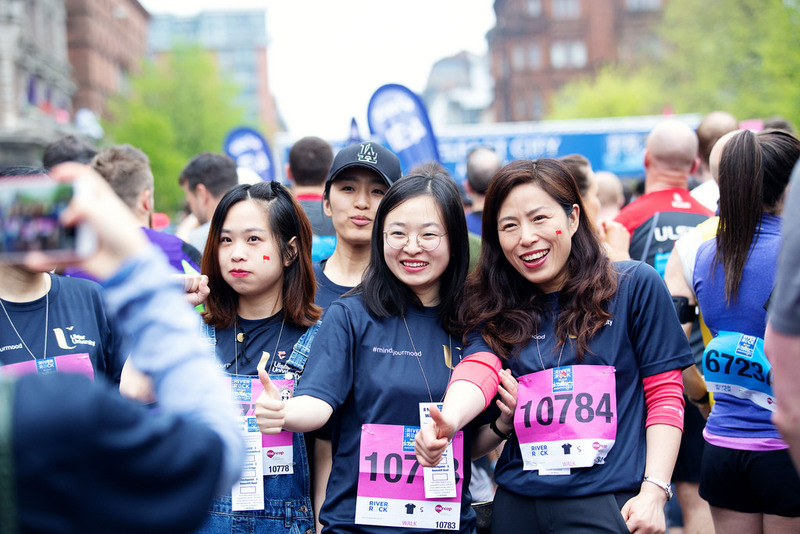 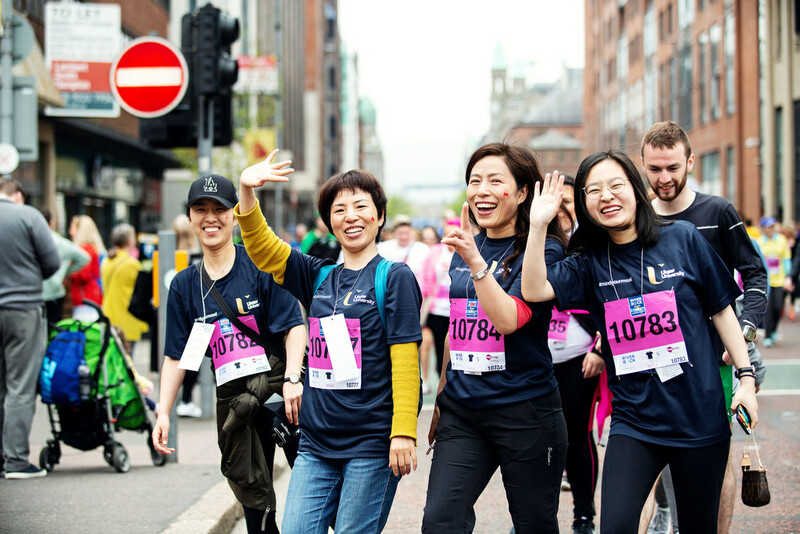 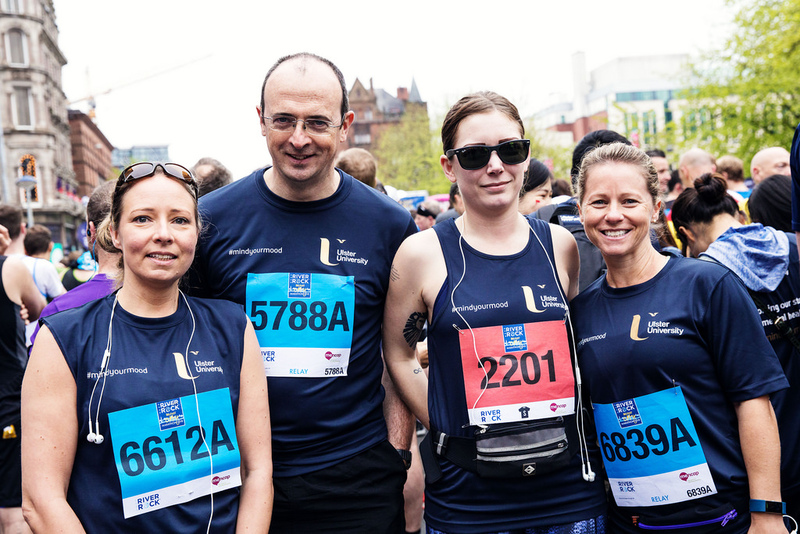 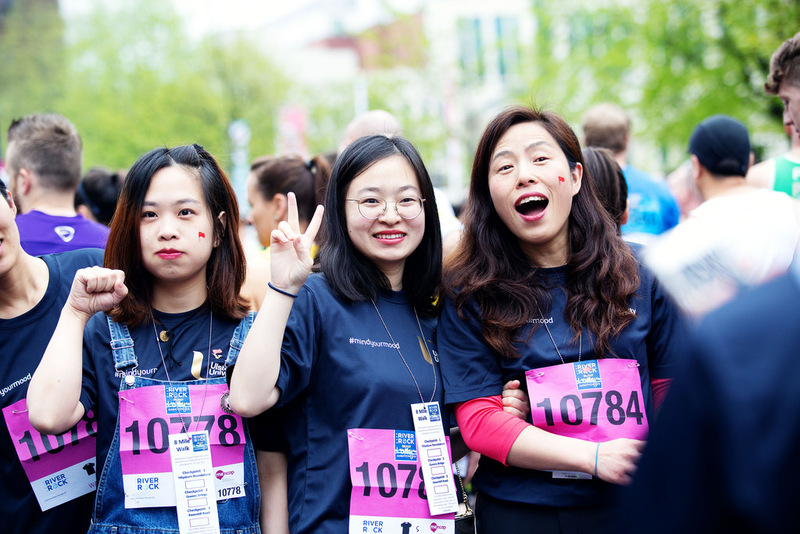 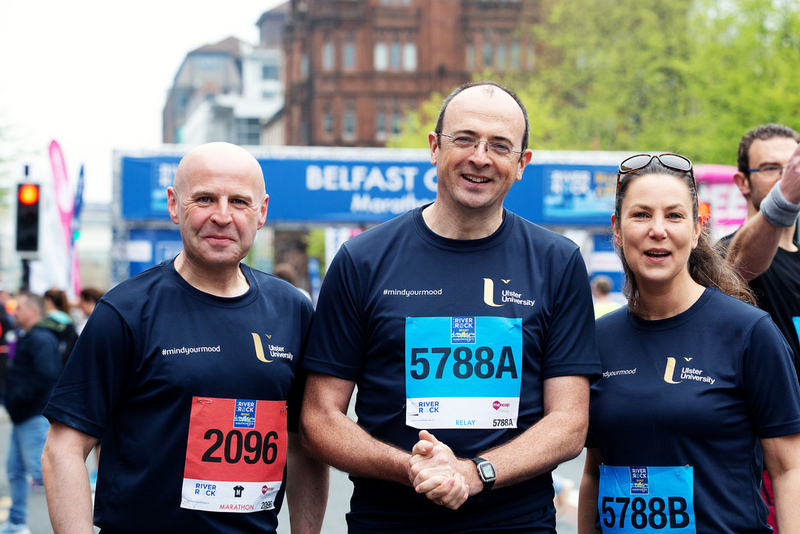 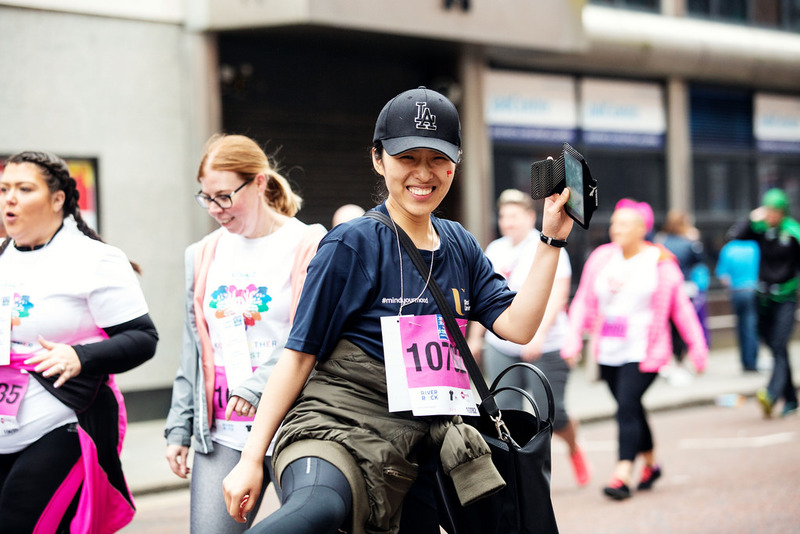 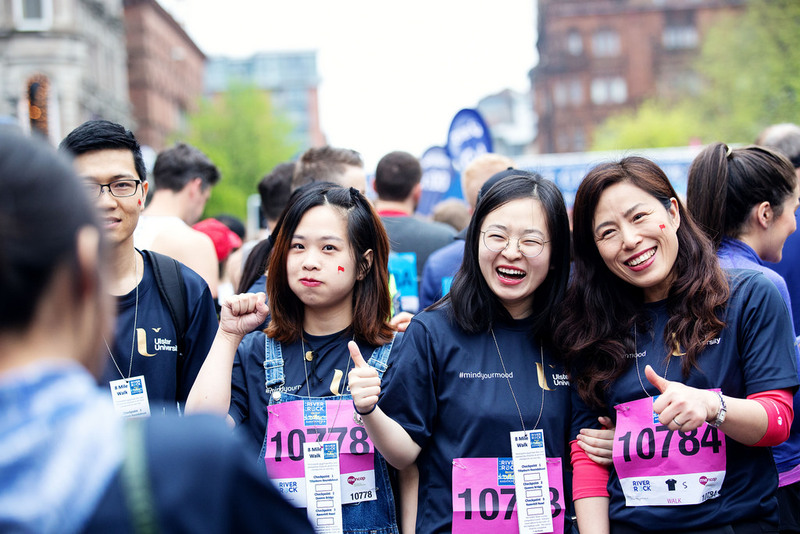 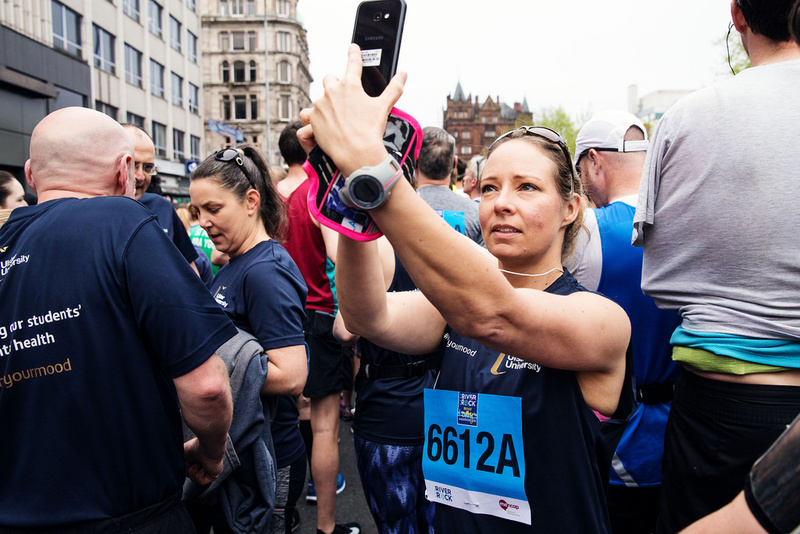 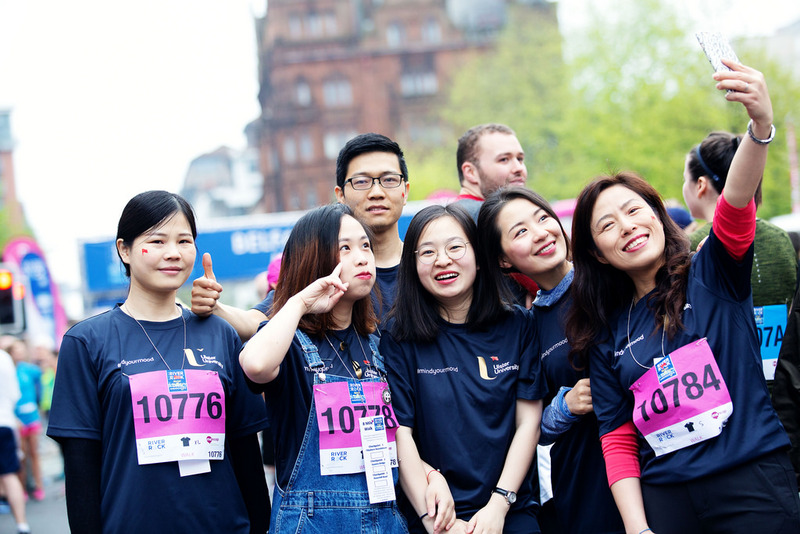 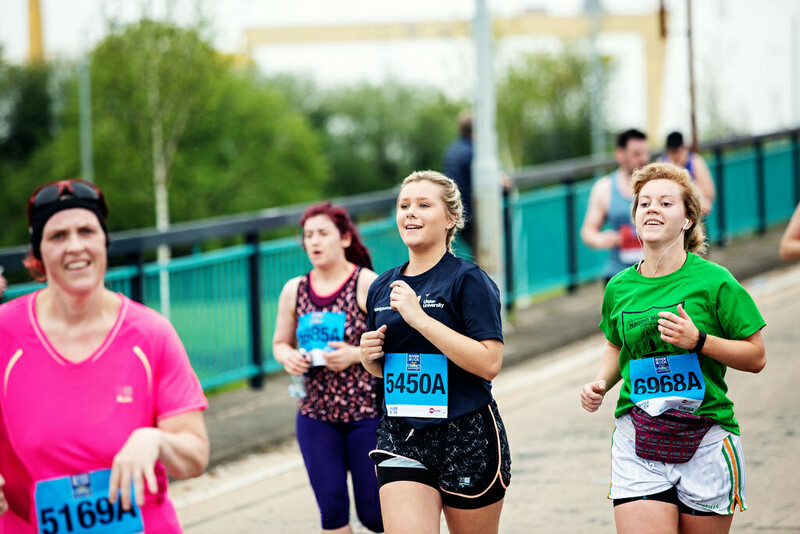 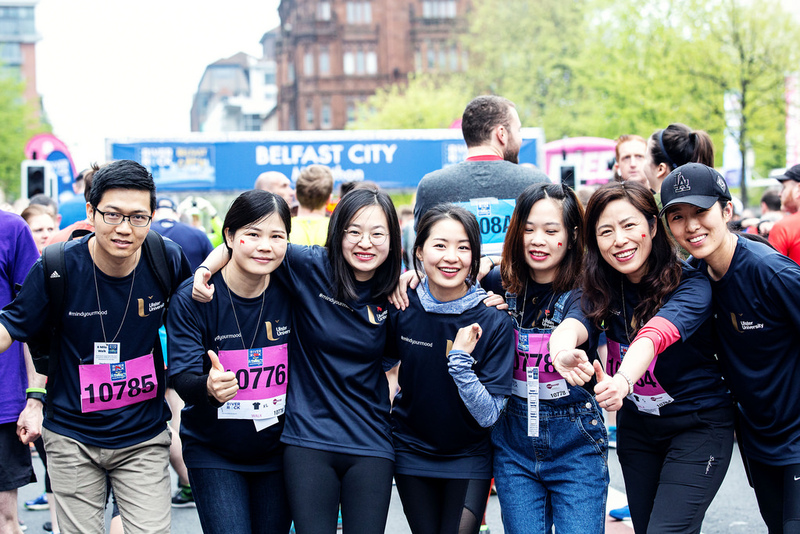 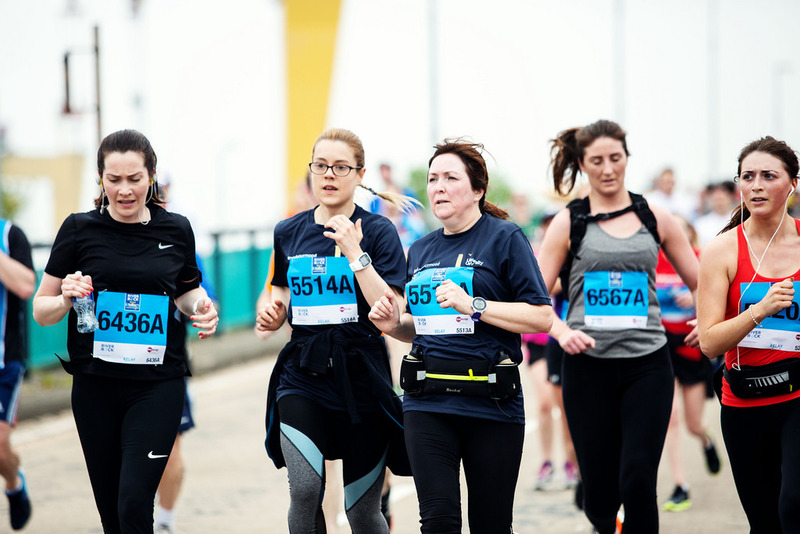 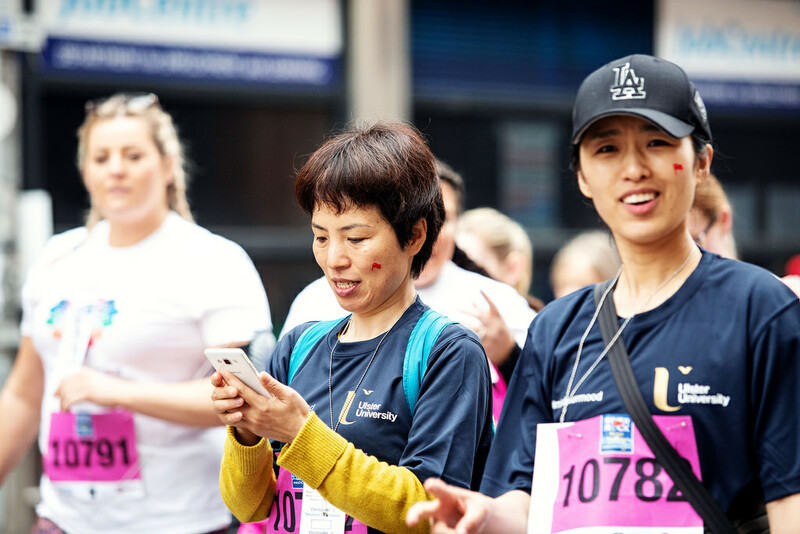 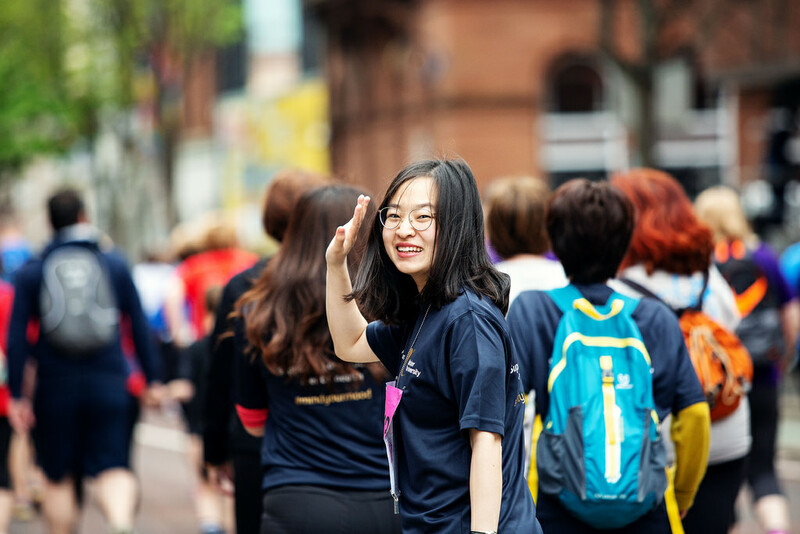 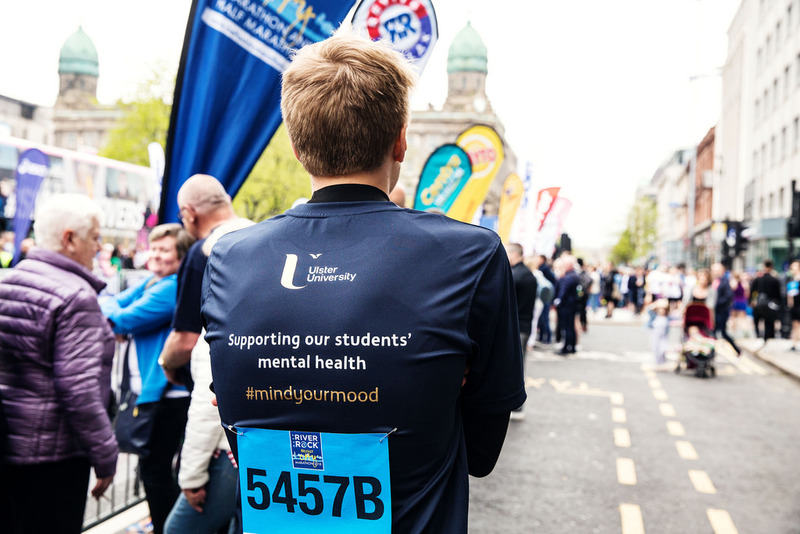 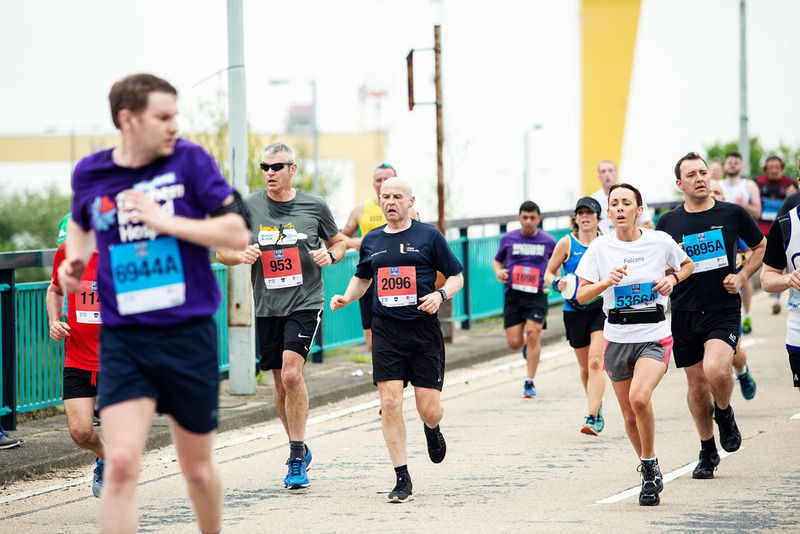 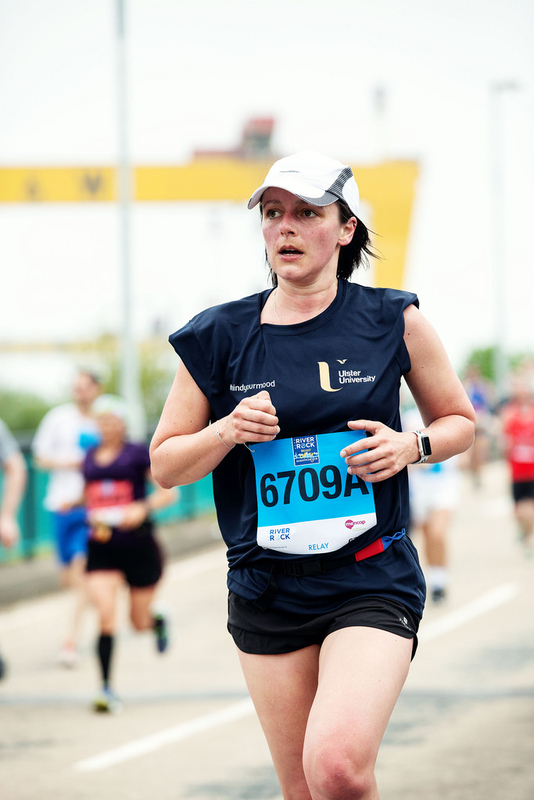 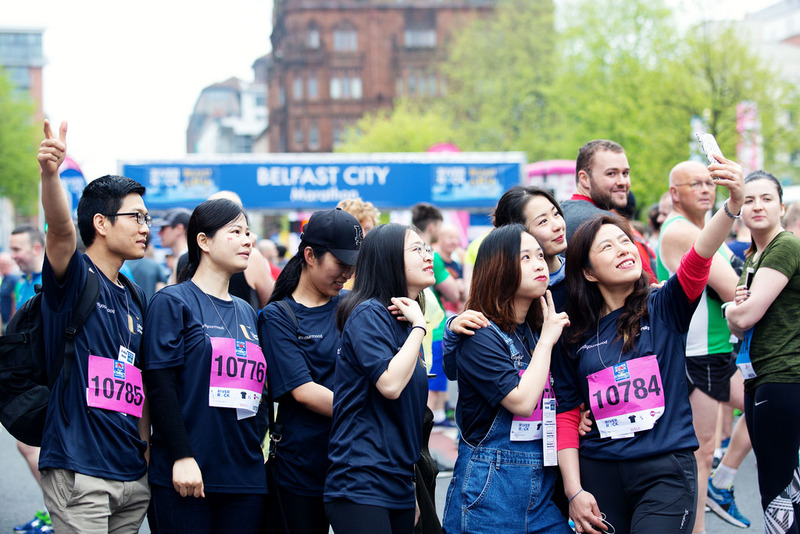 On 7th May over 160 students, staff, alumni and friends donned their Mind Your Mood running tops and took to the streets of Belfast to raise funds in support of our students’ mental health. 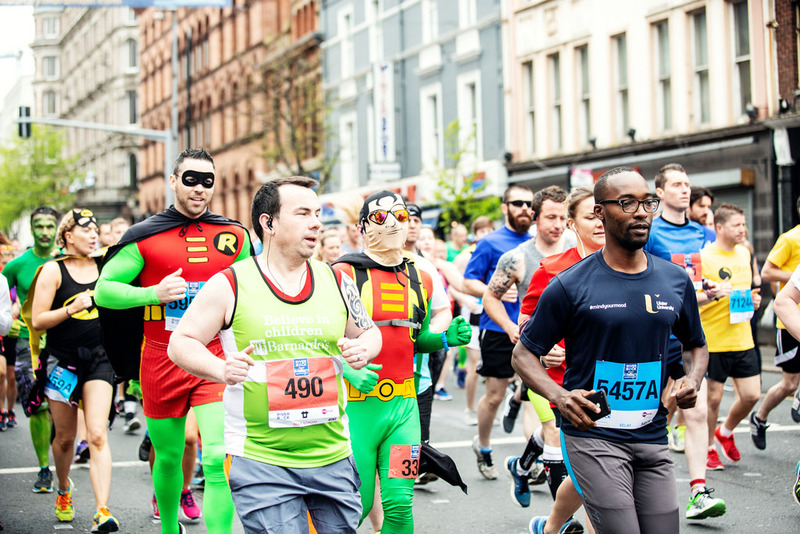 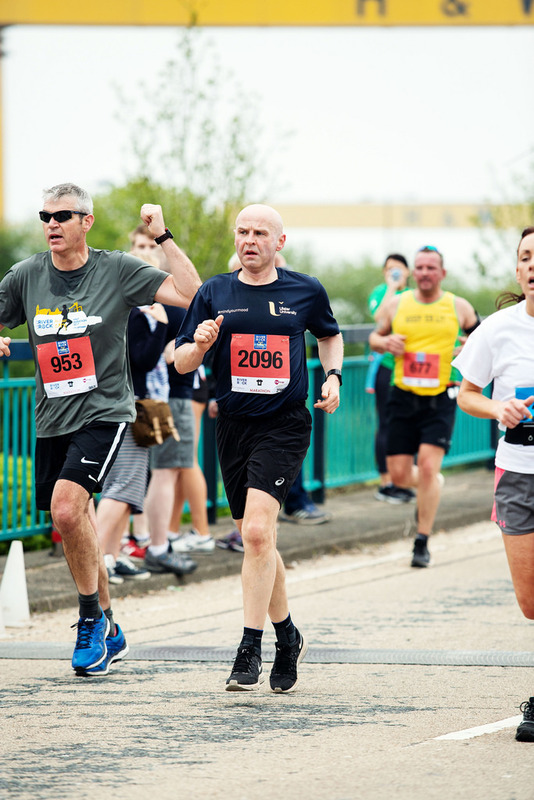 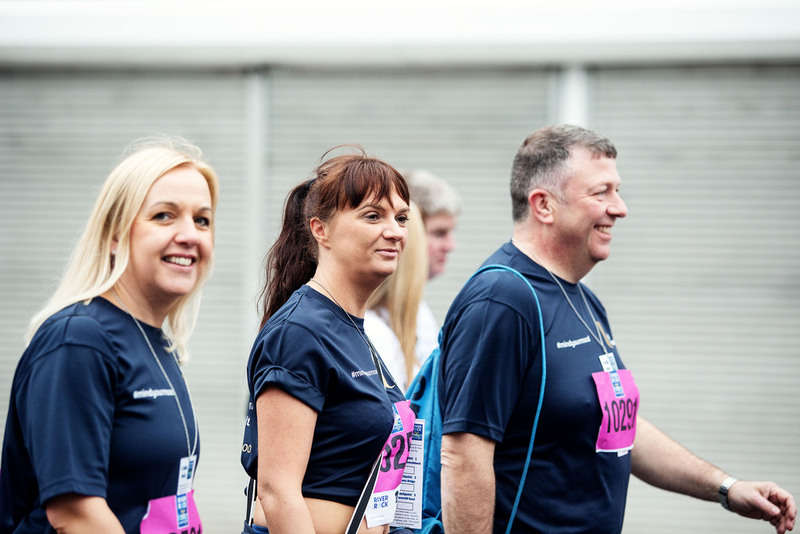 We had a mixture of relay teams, walkers, fun runners as well as full marathon runners! 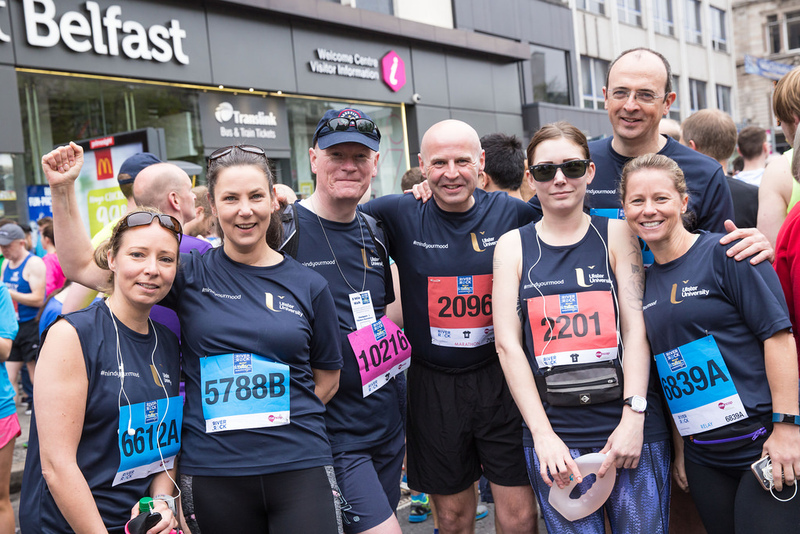 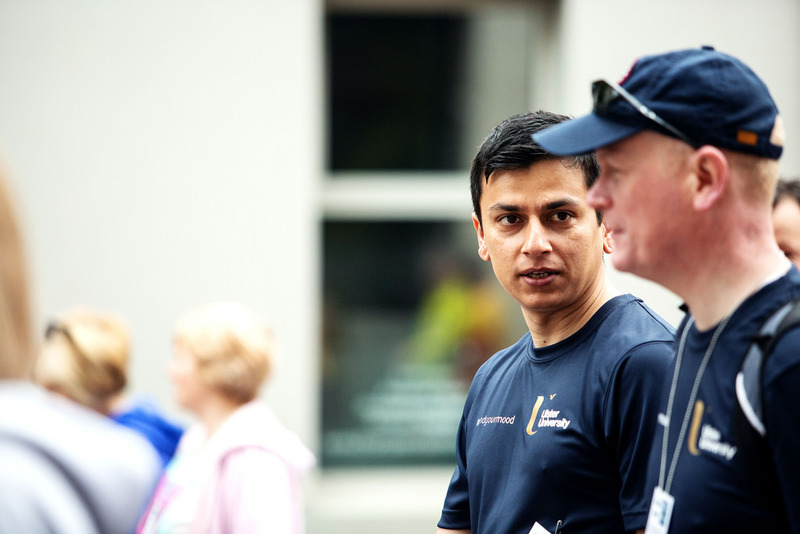 It was a great day out and we all enjoyed dissecting our efforts at a post run event in the city. 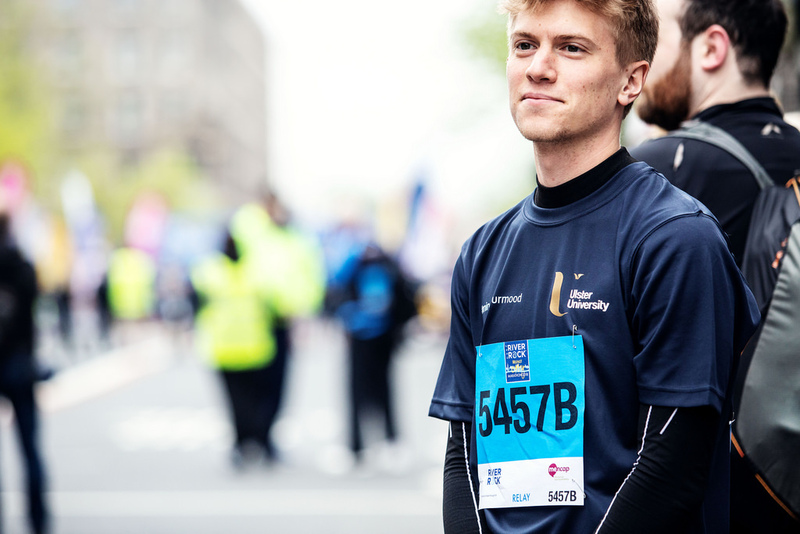 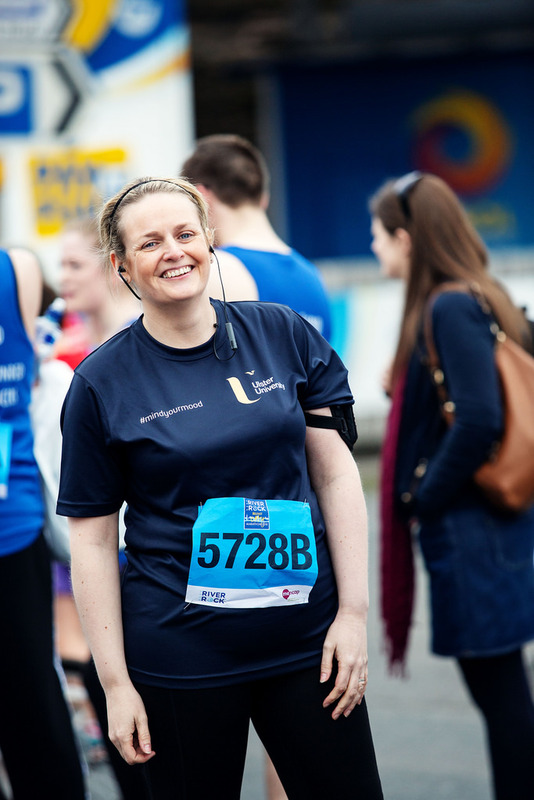 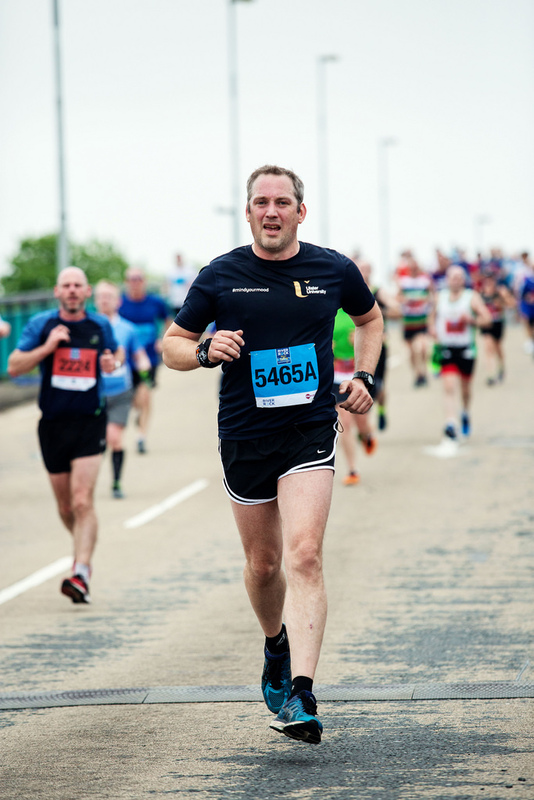 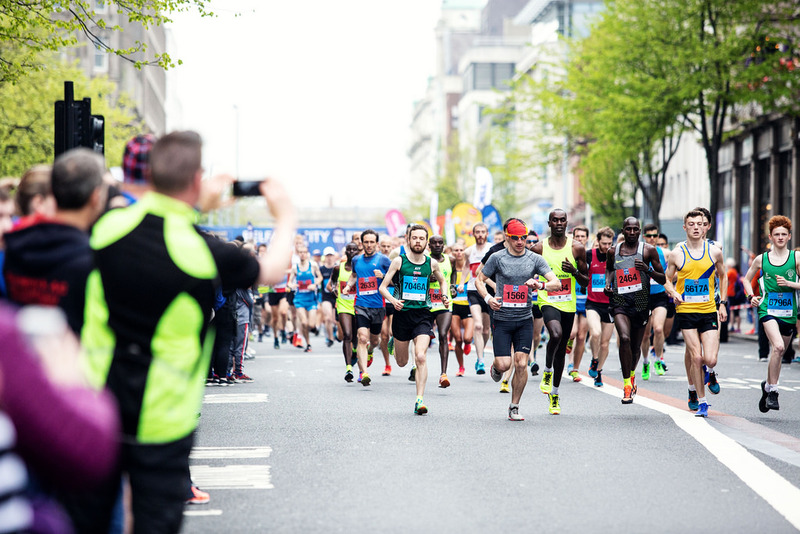 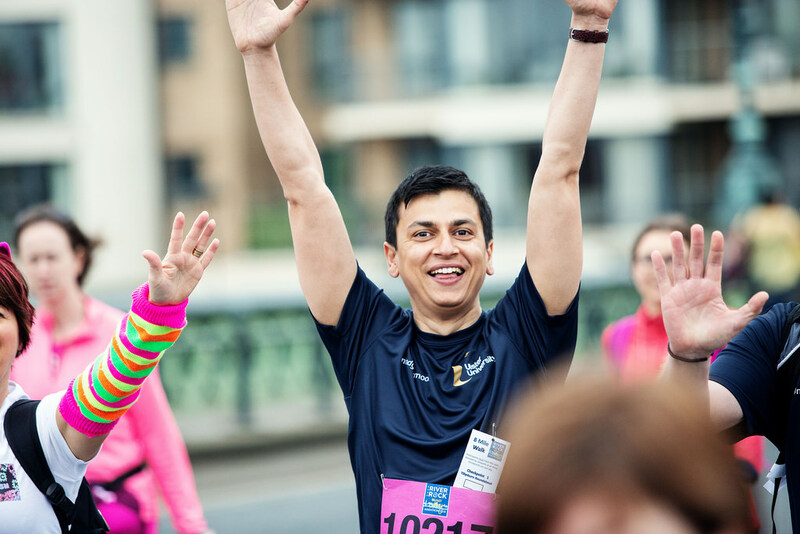 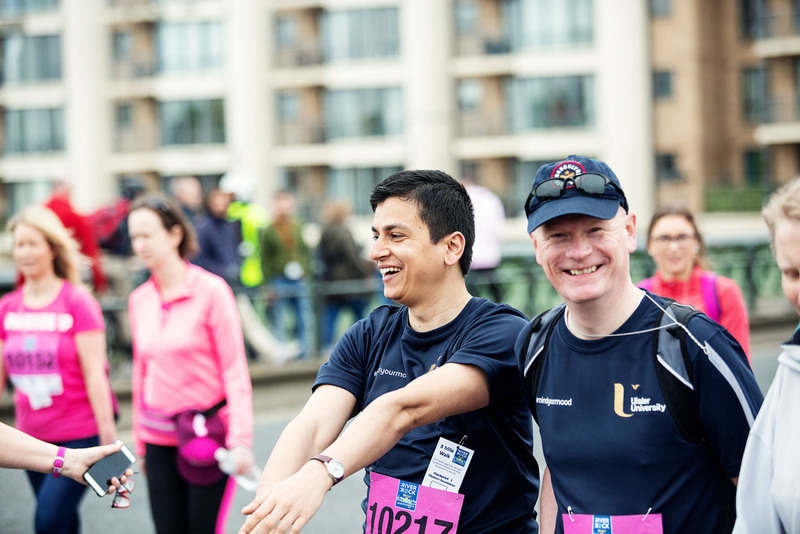 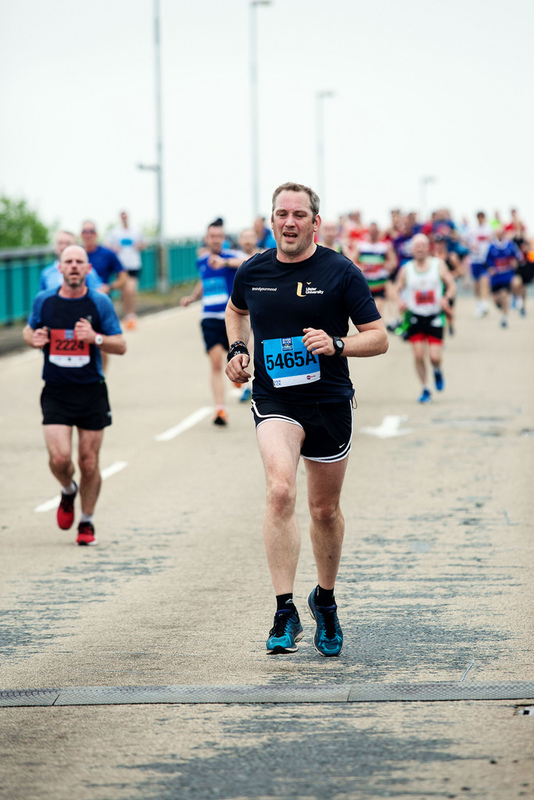 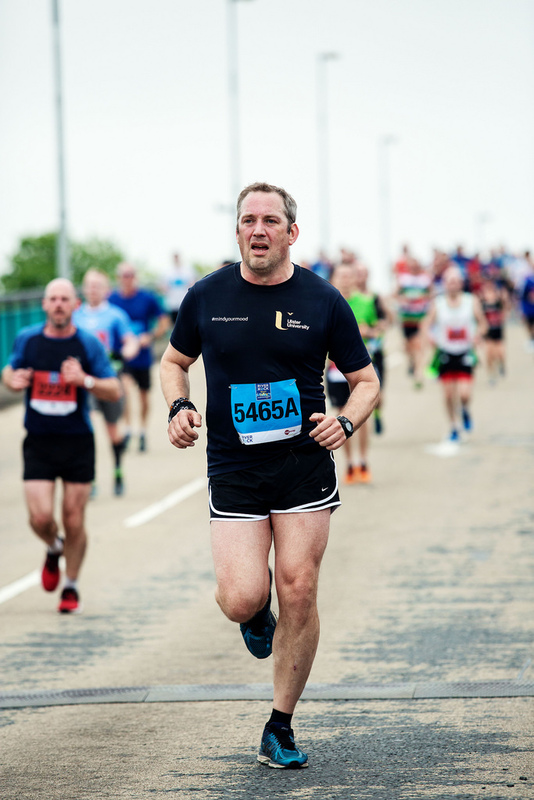 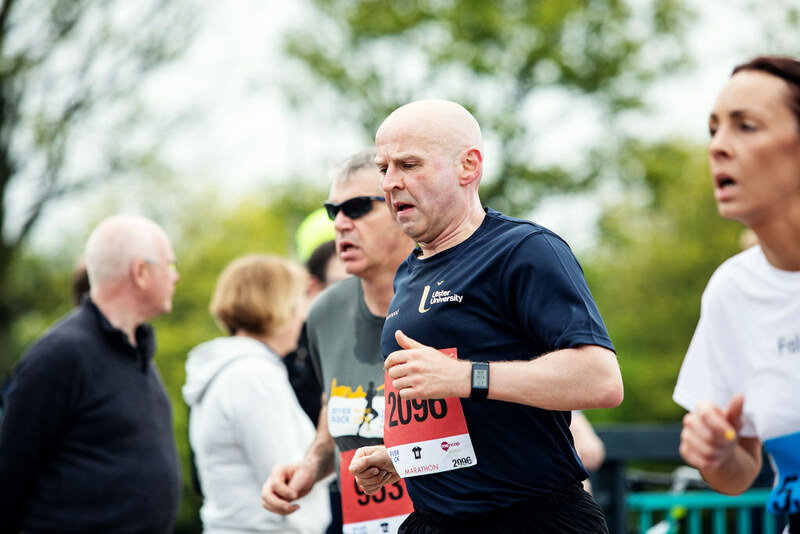 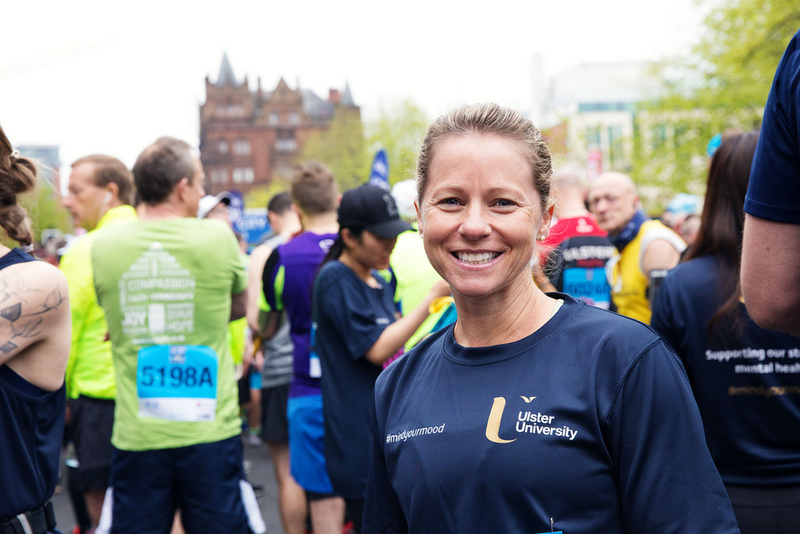 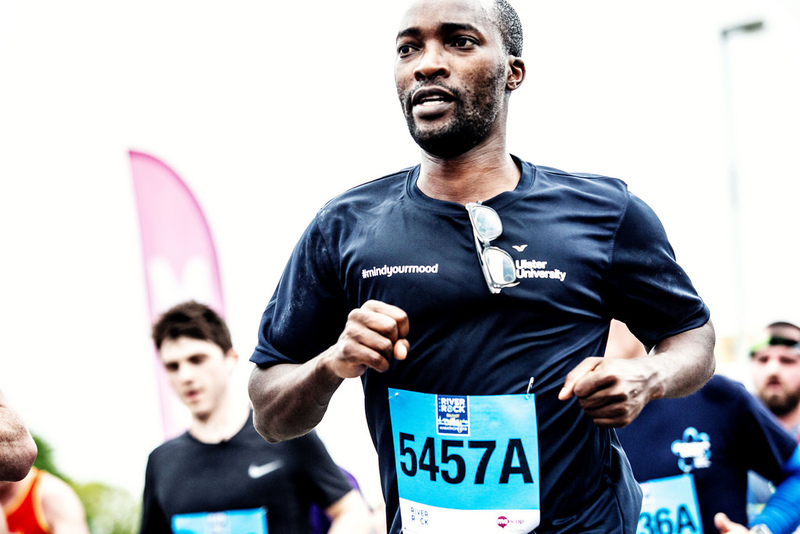 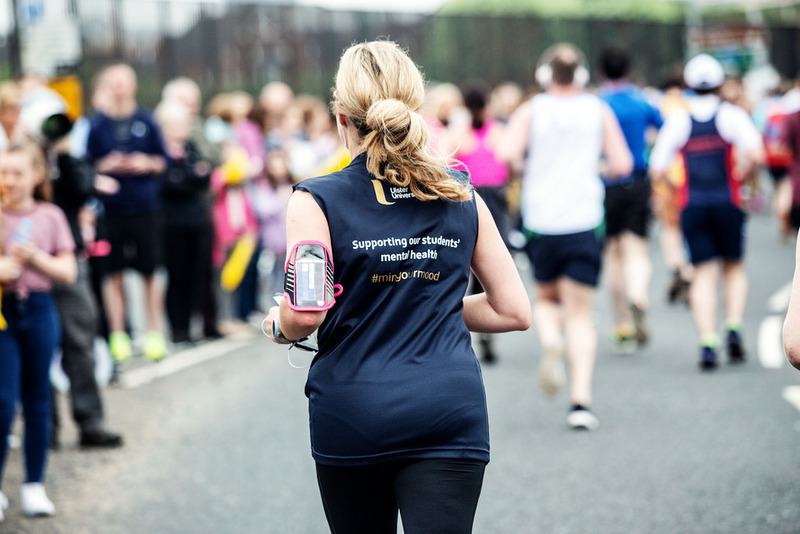 A special mention should go to Noel from Santander Universities who also ran the Virgin London Marathon in aid of Mind Your Mood and then the Newry marathon also! 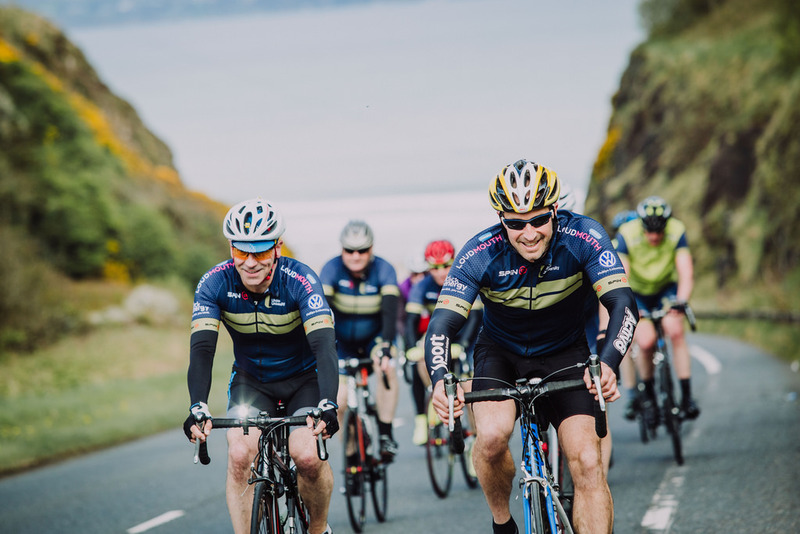 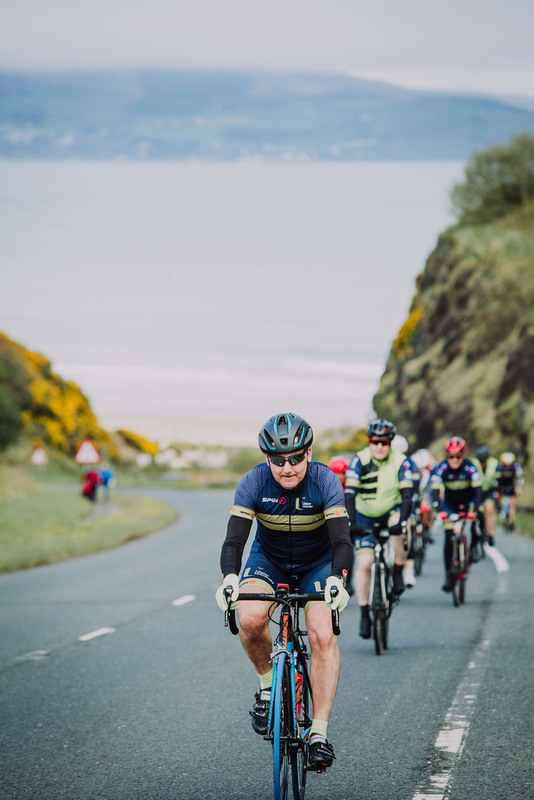 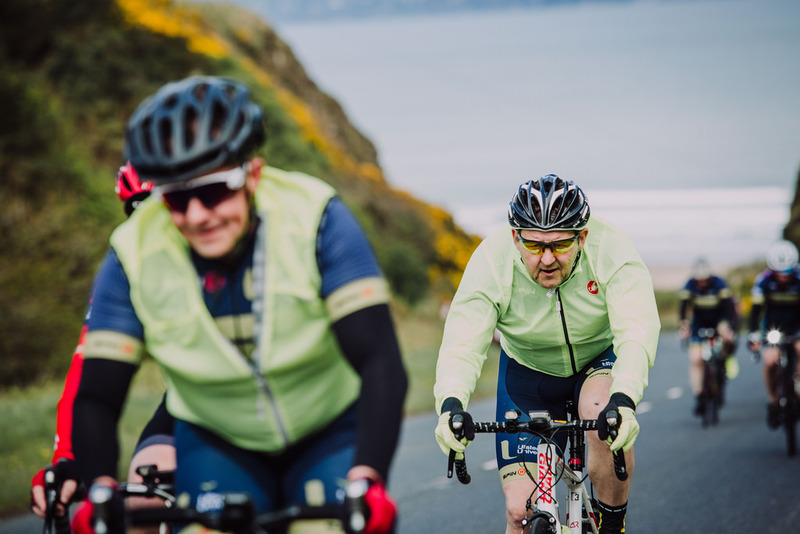 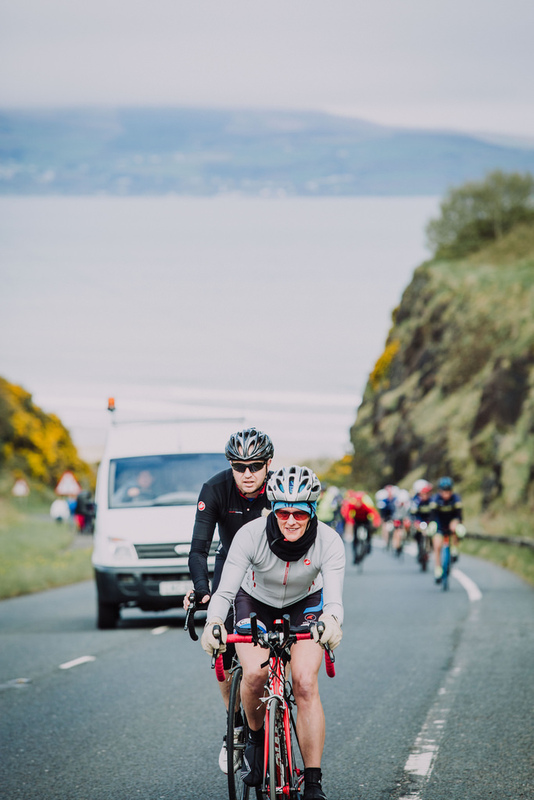 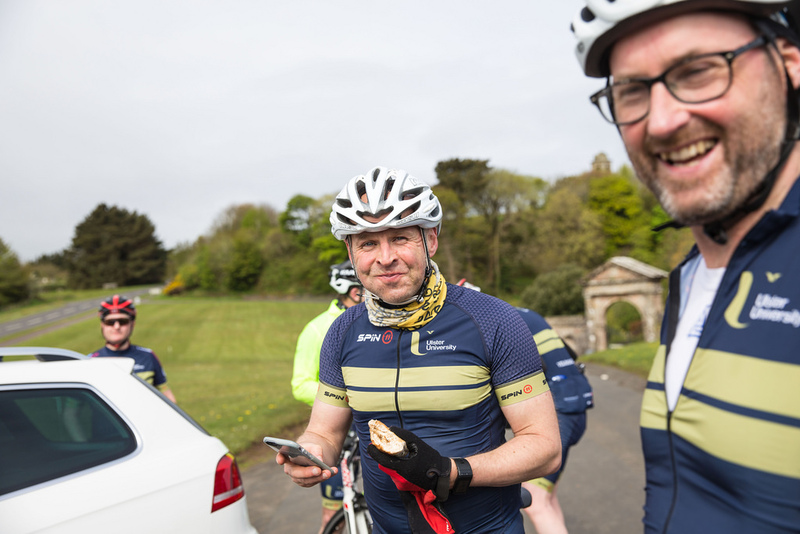 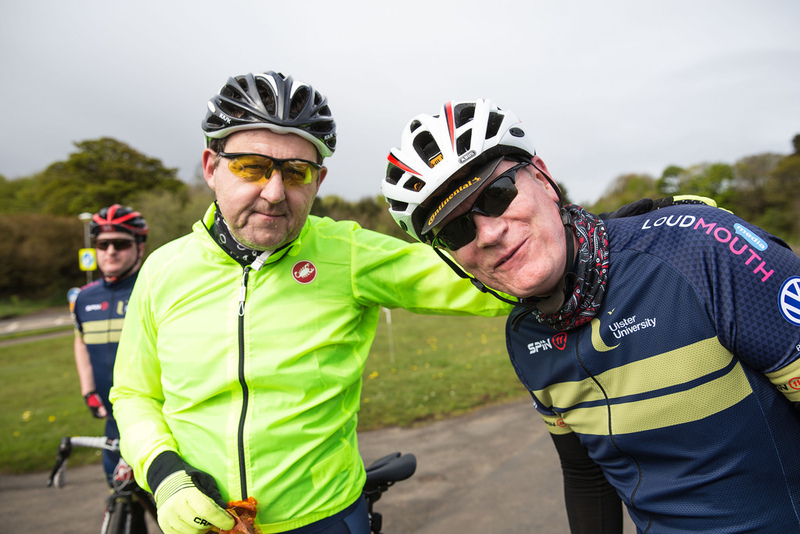 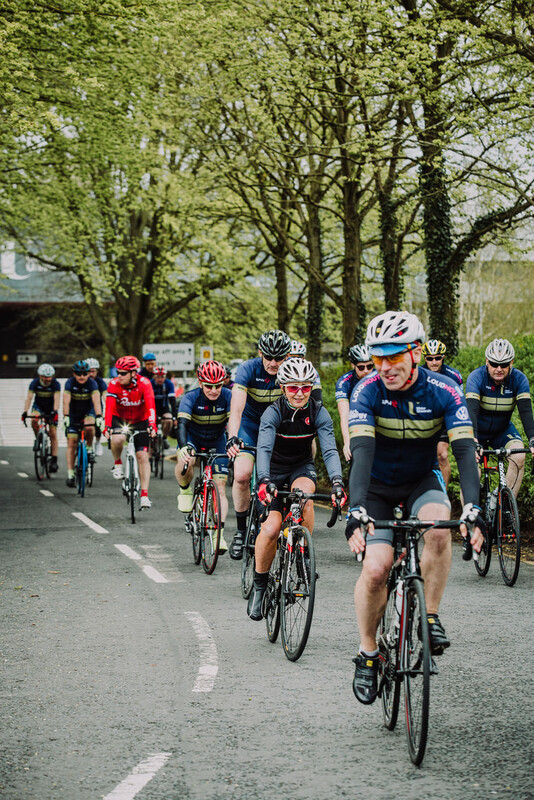 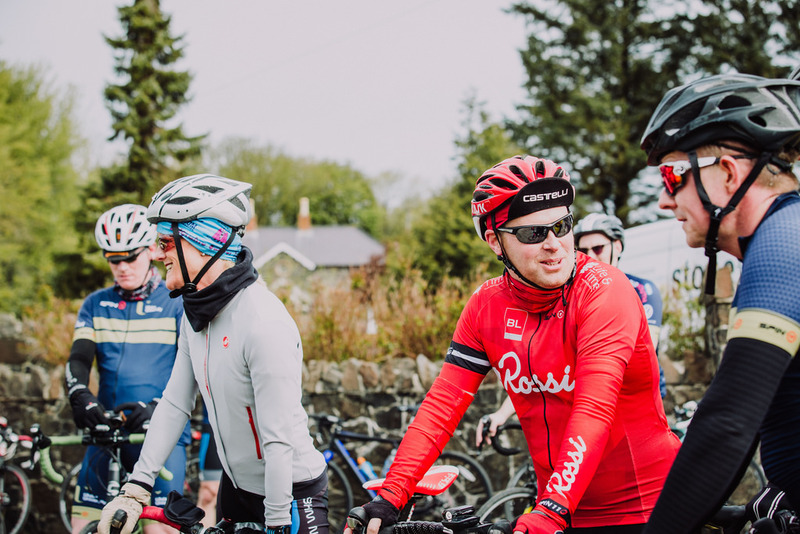 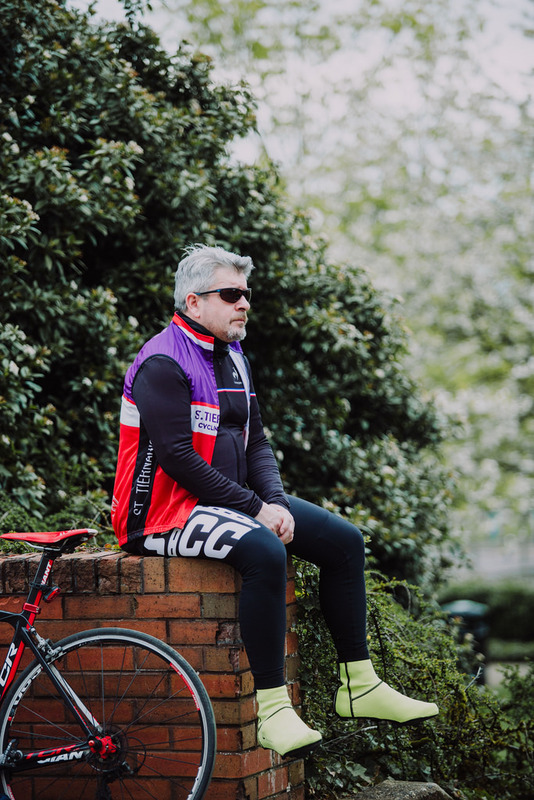 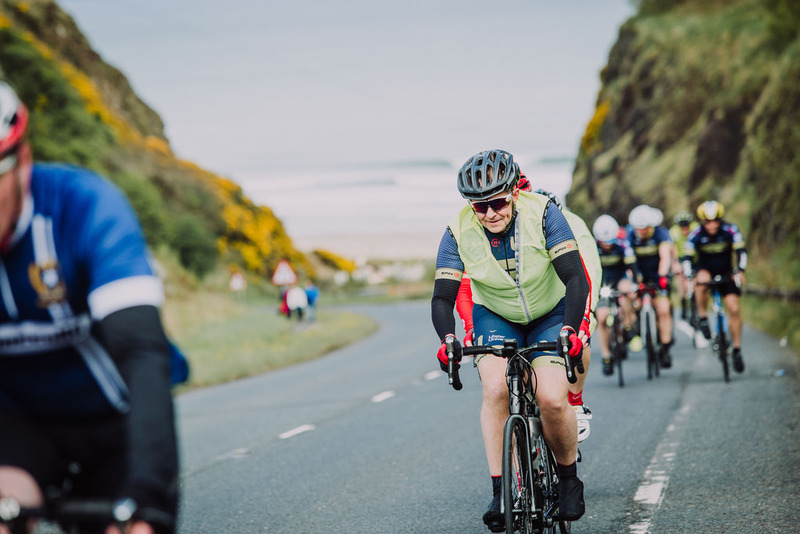 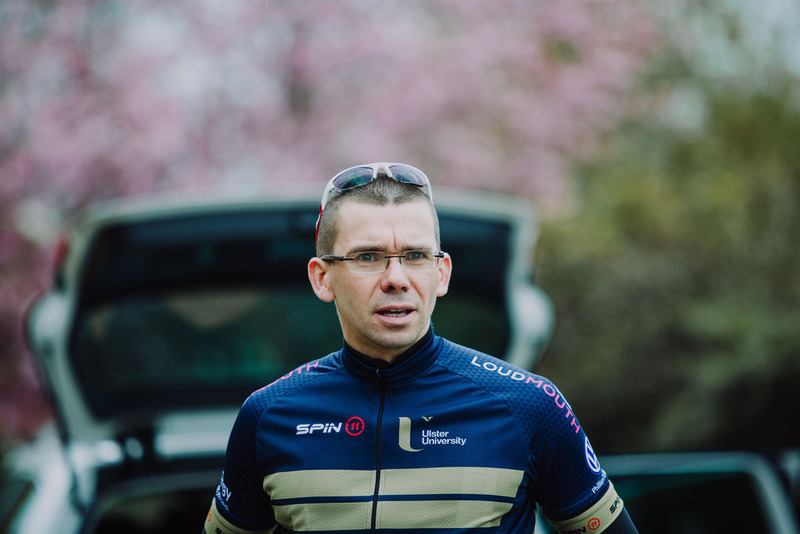 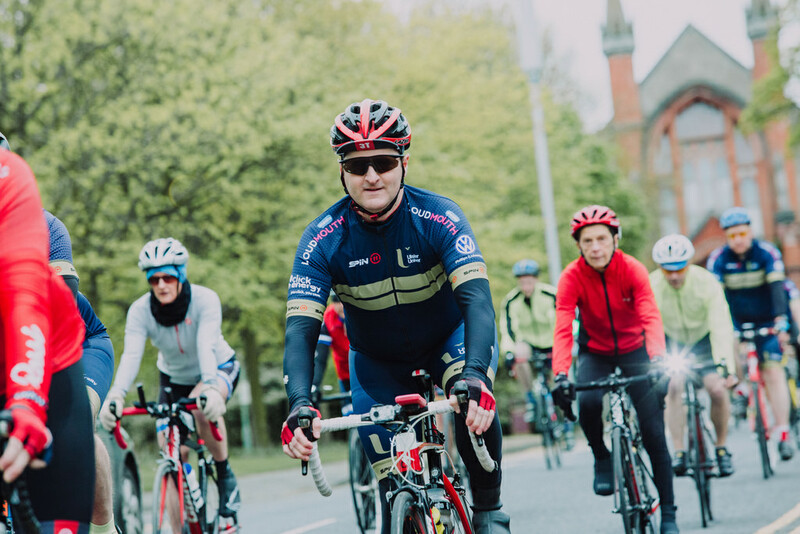 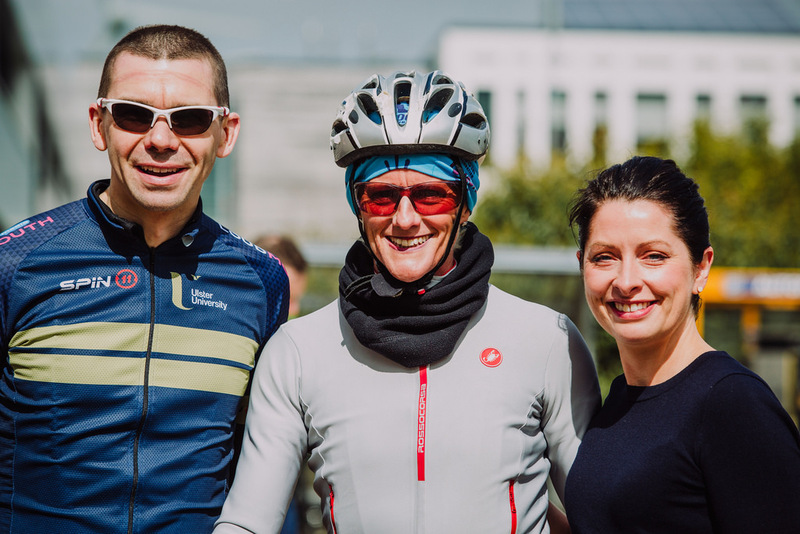 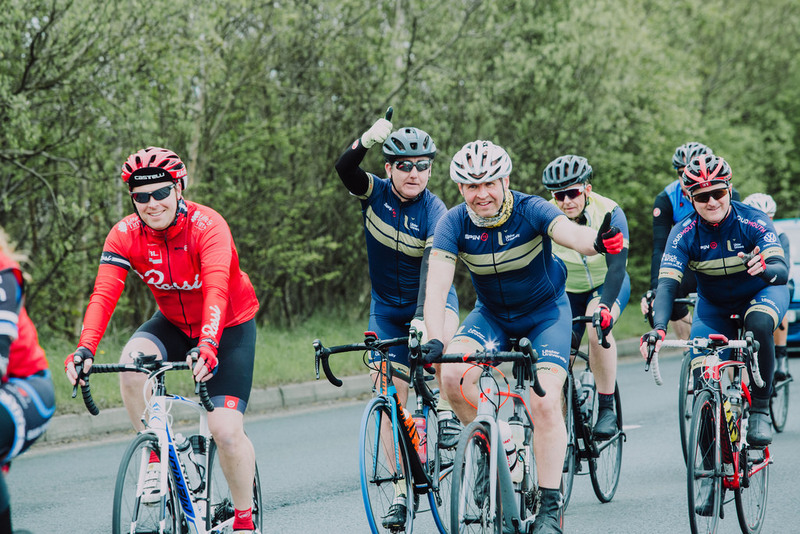 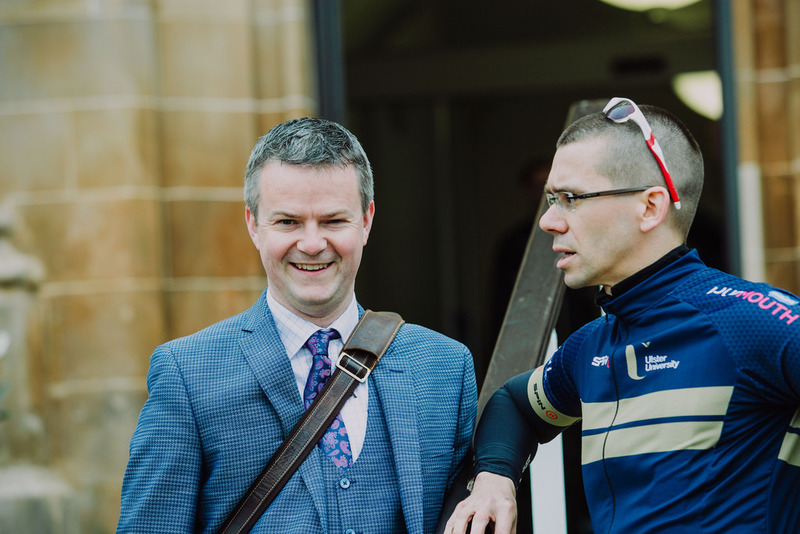 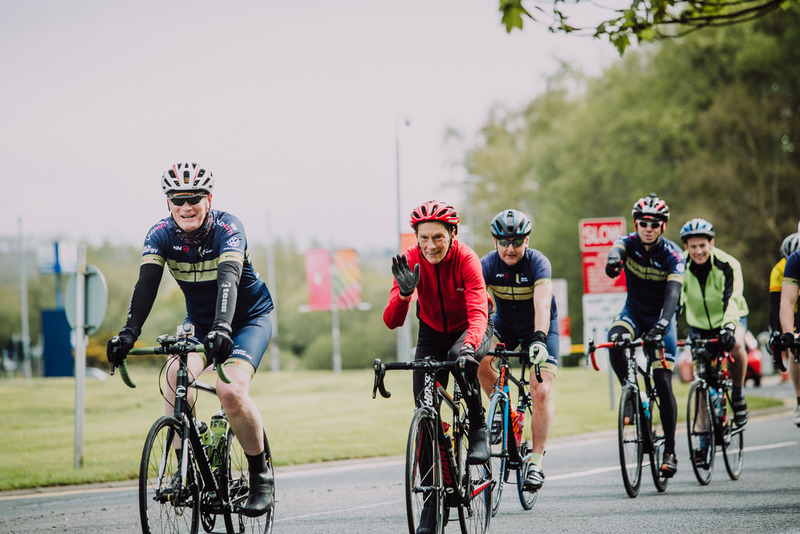 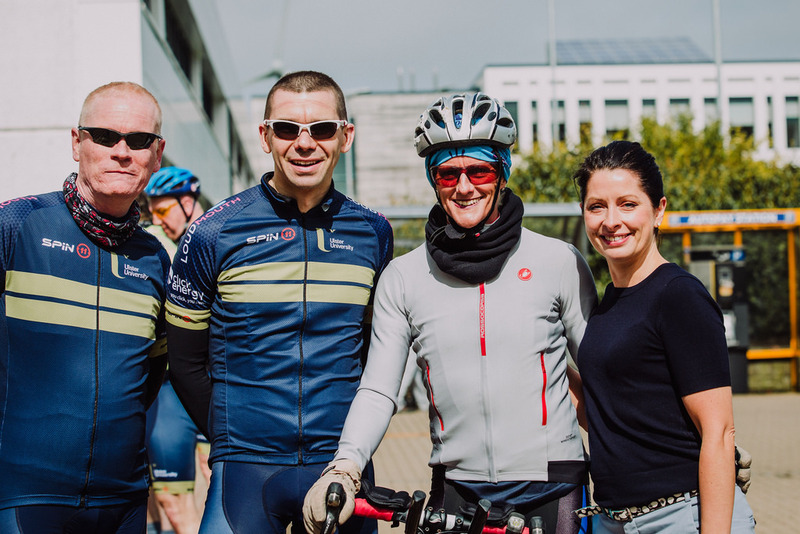 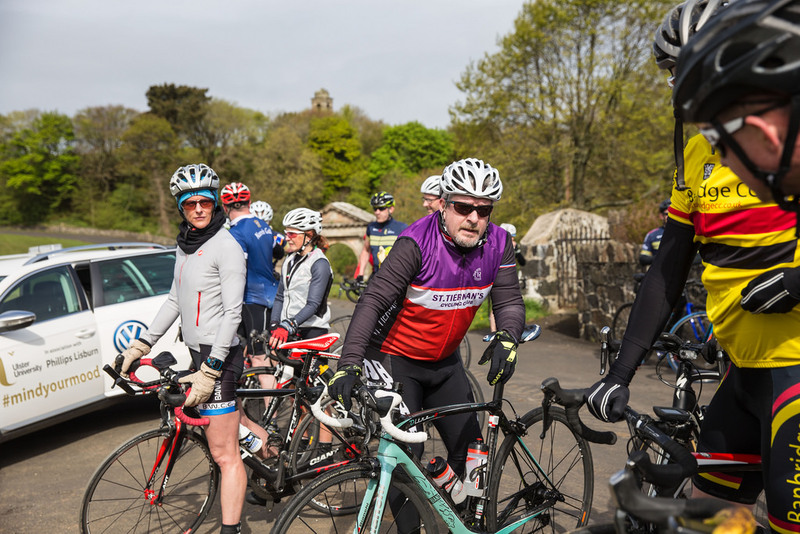 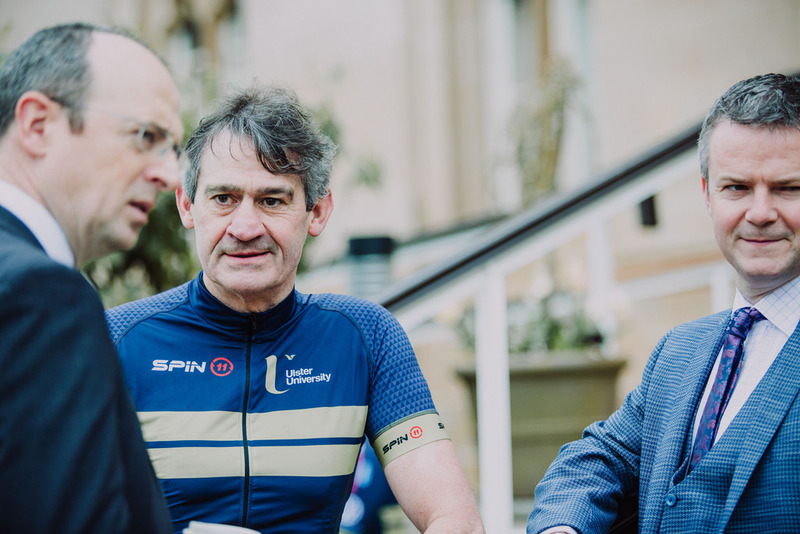 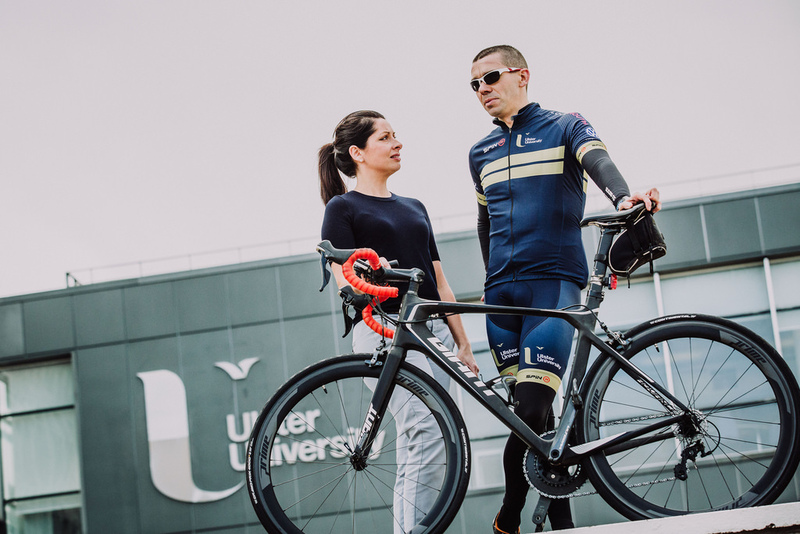 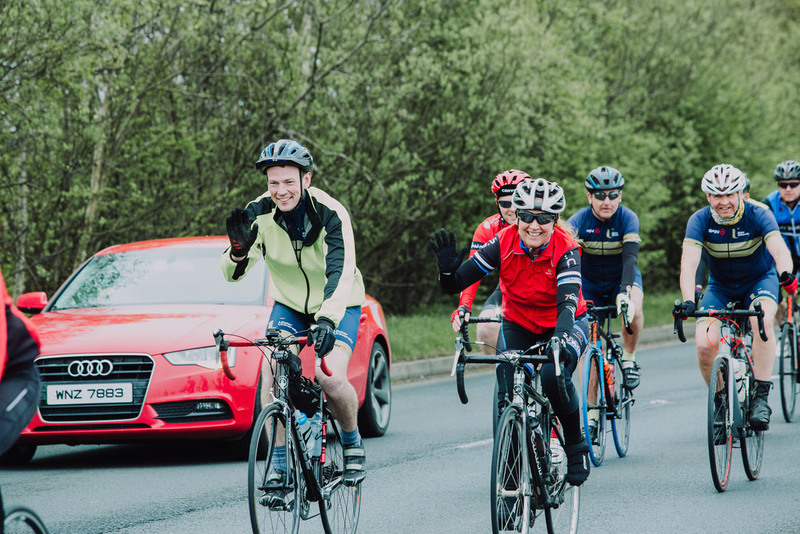 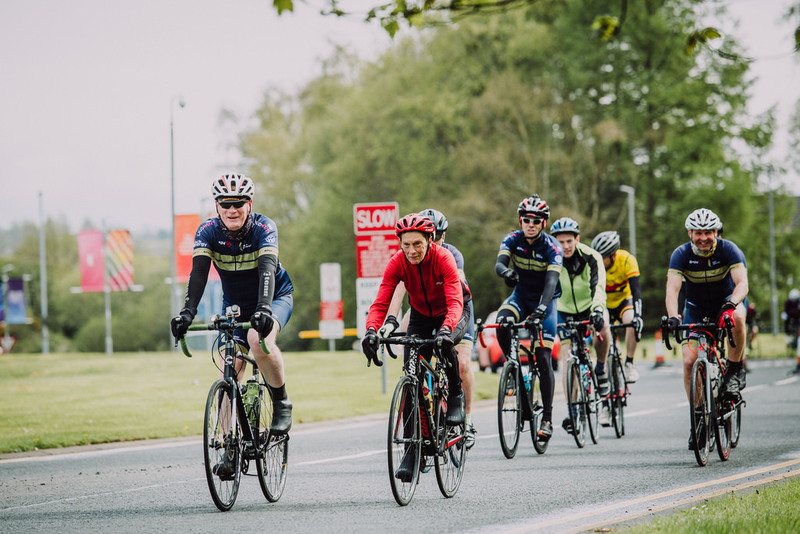 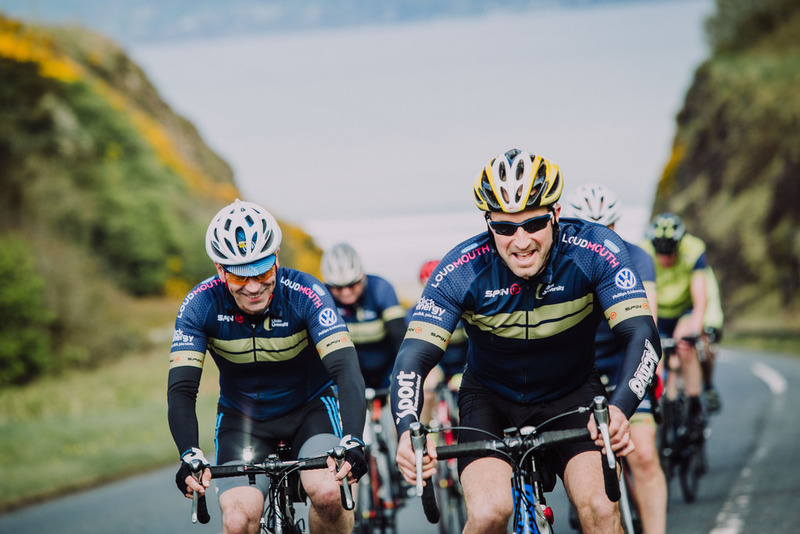 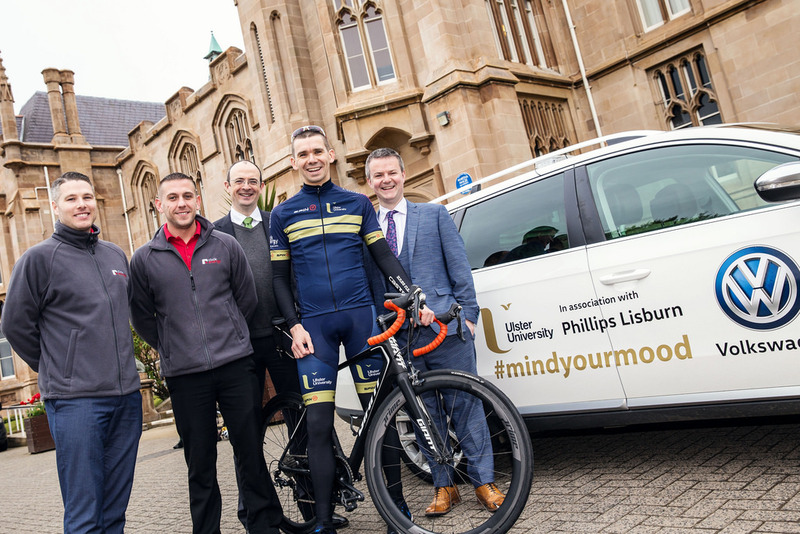 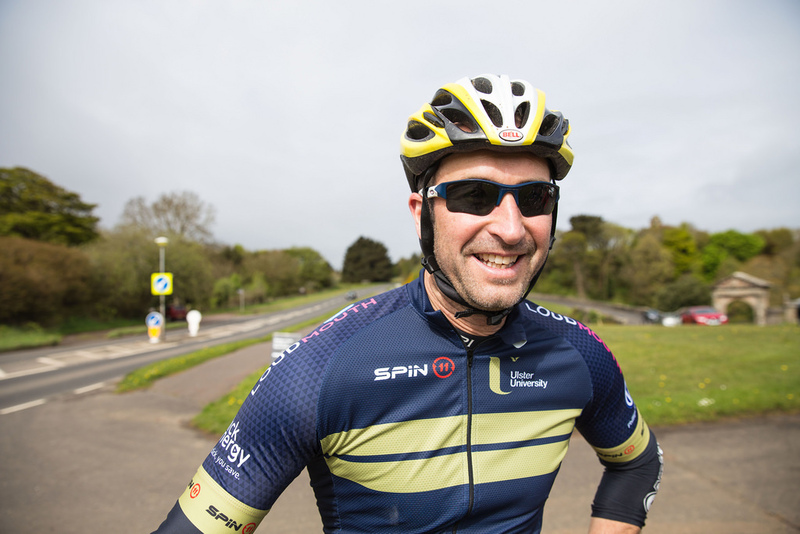 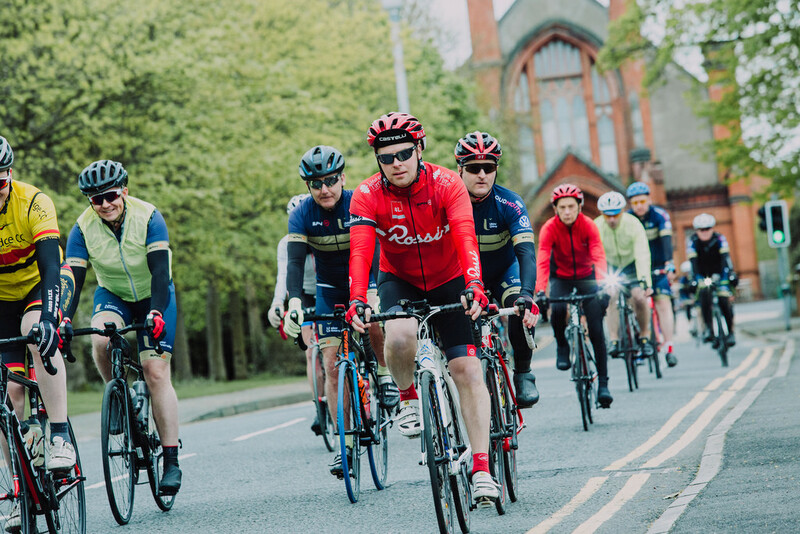 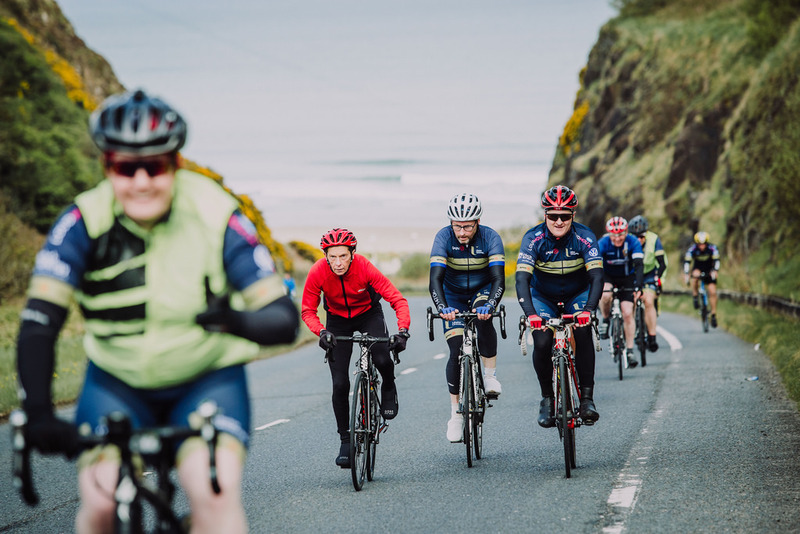 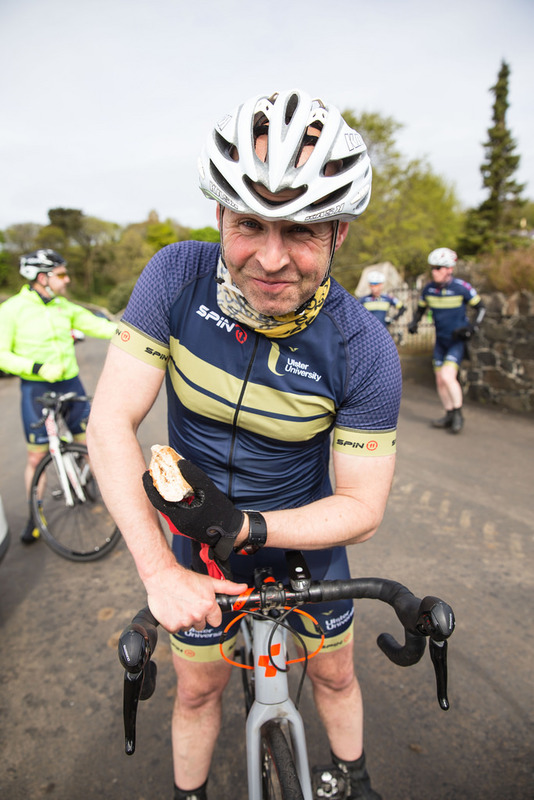 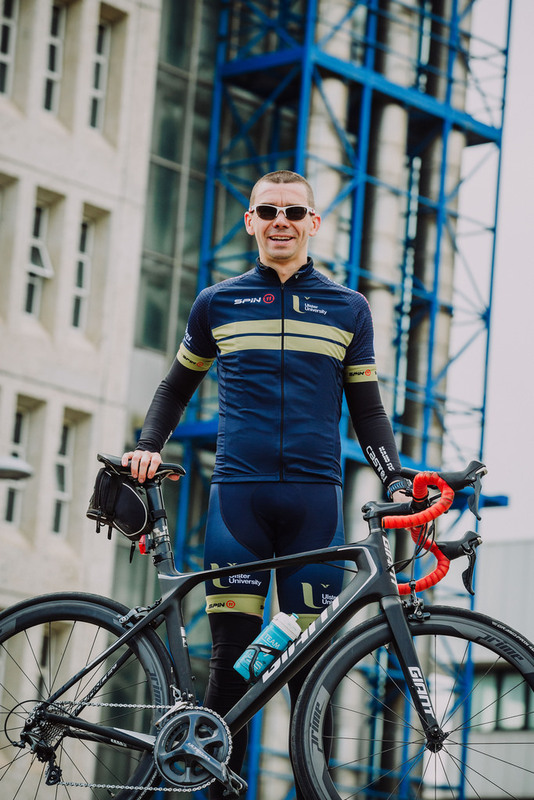 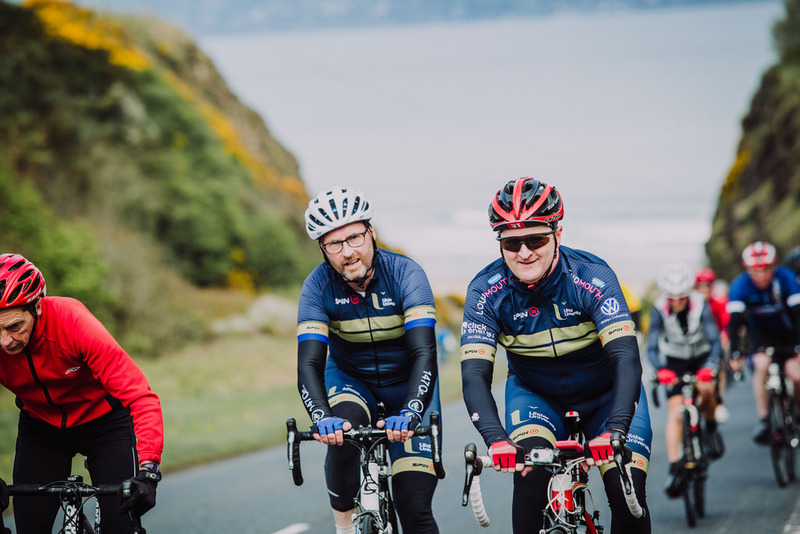 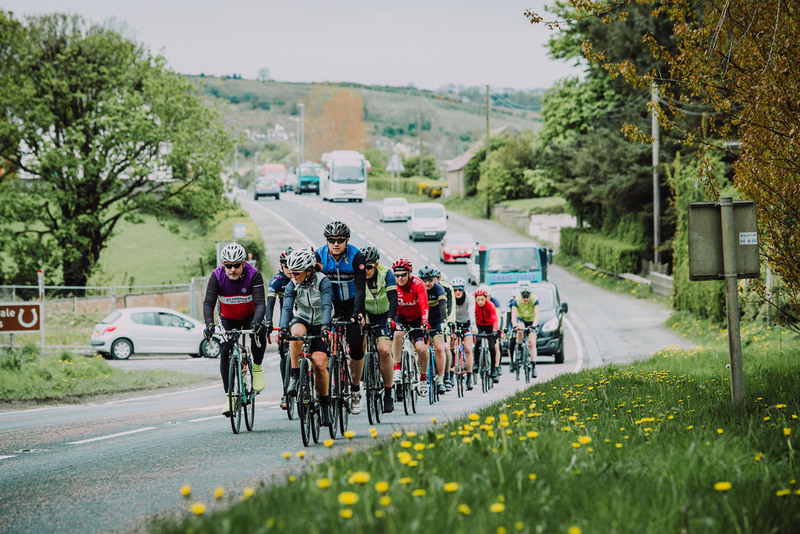 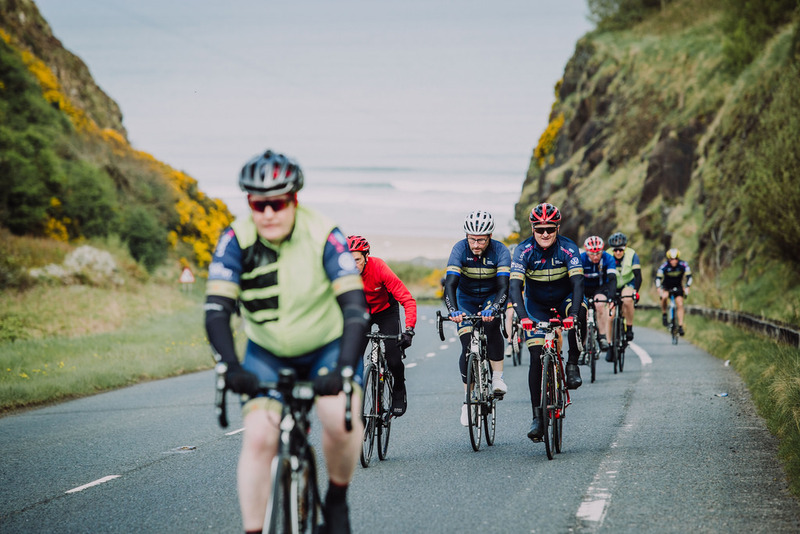 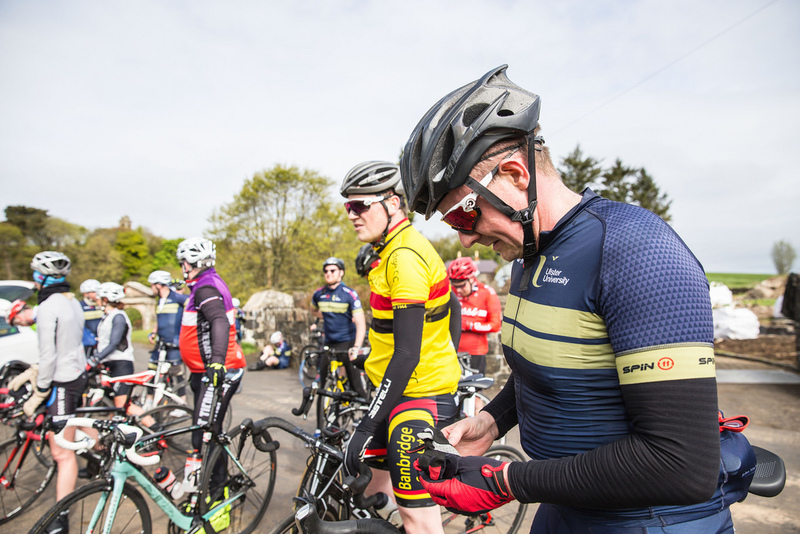 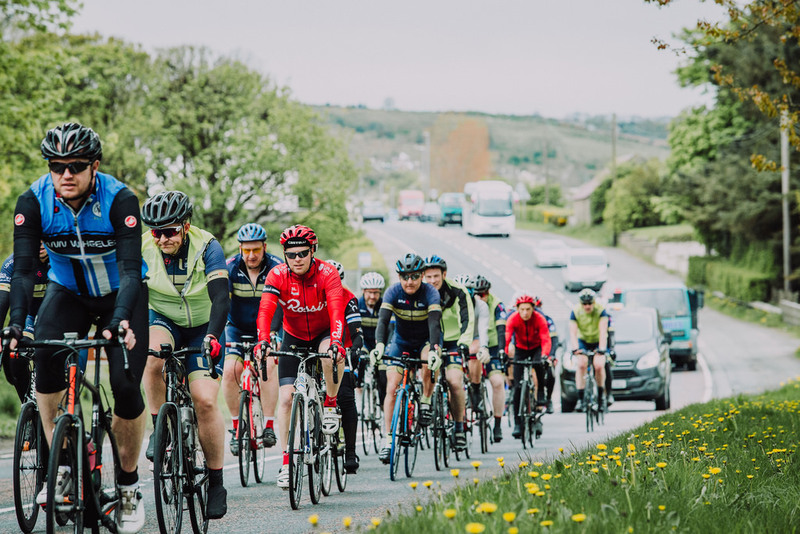 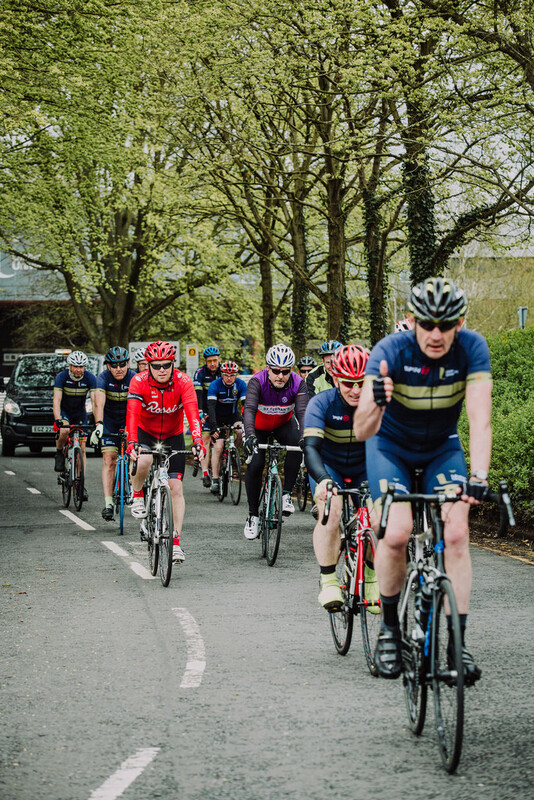 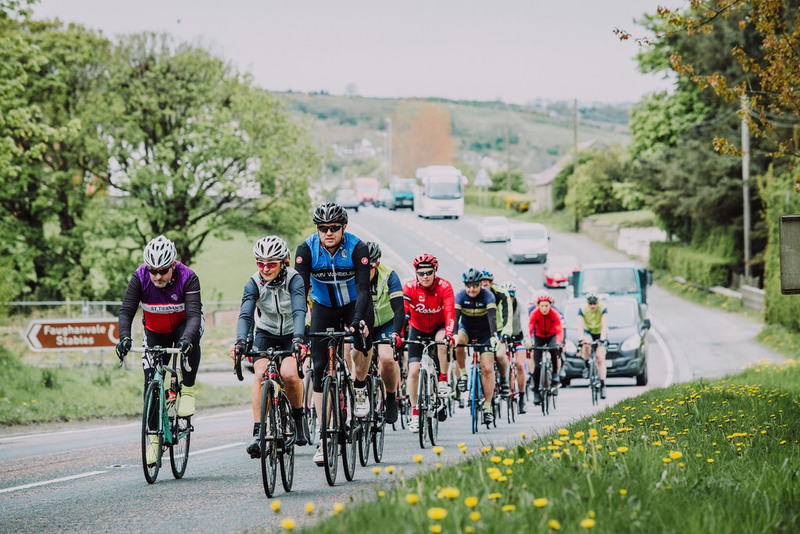 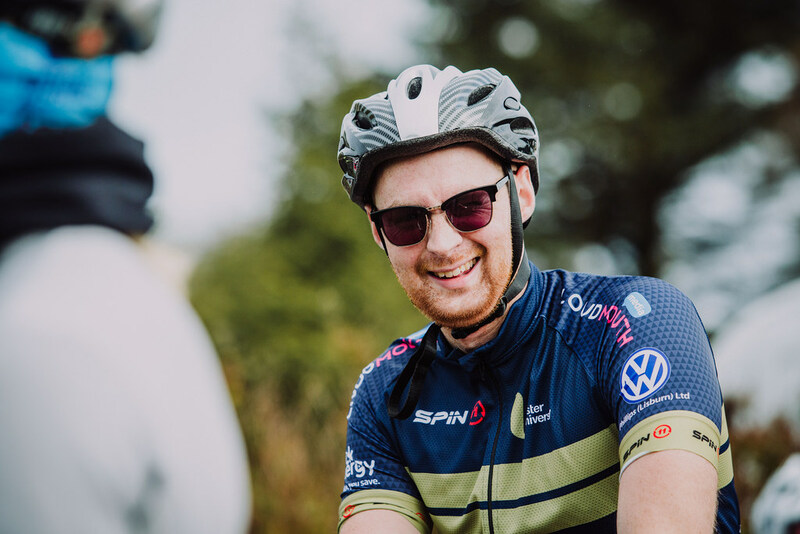 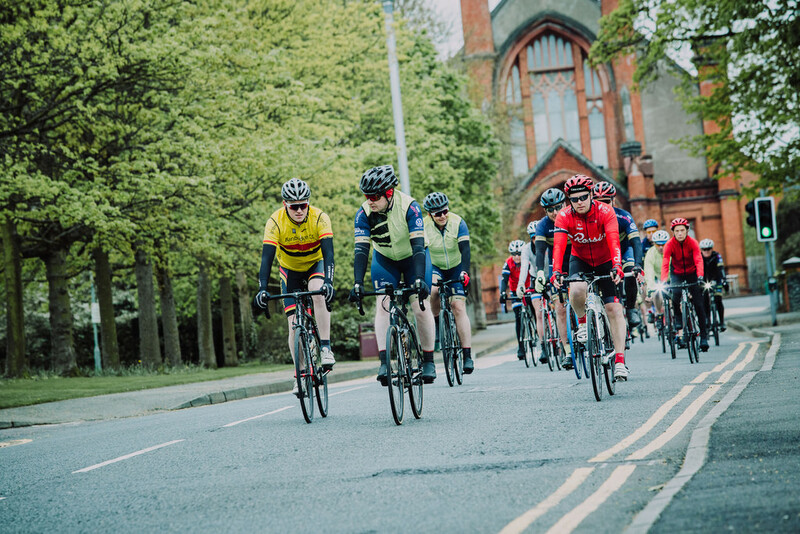 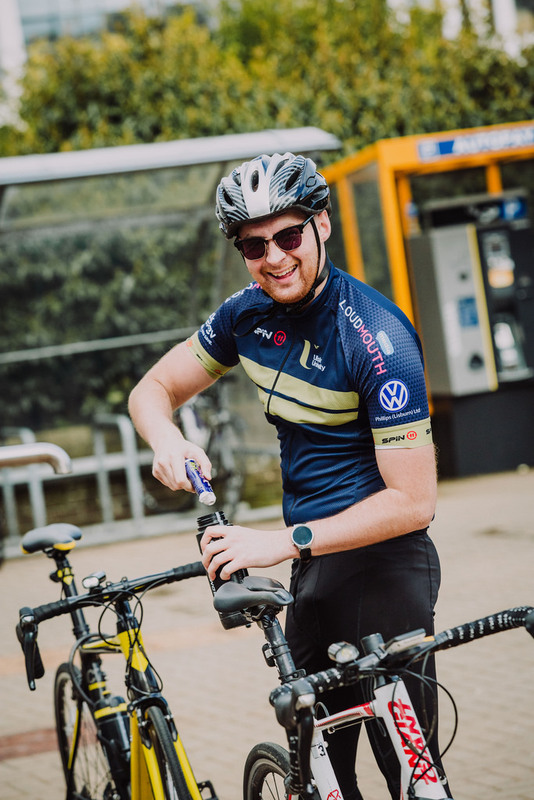 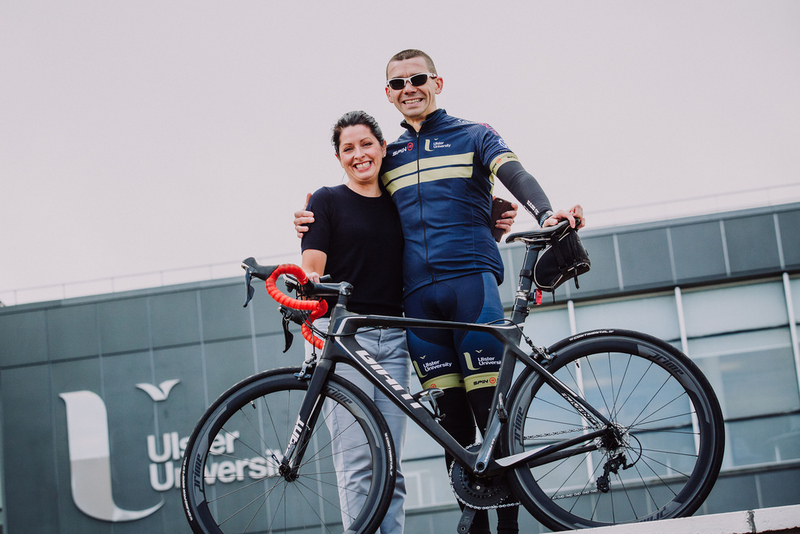 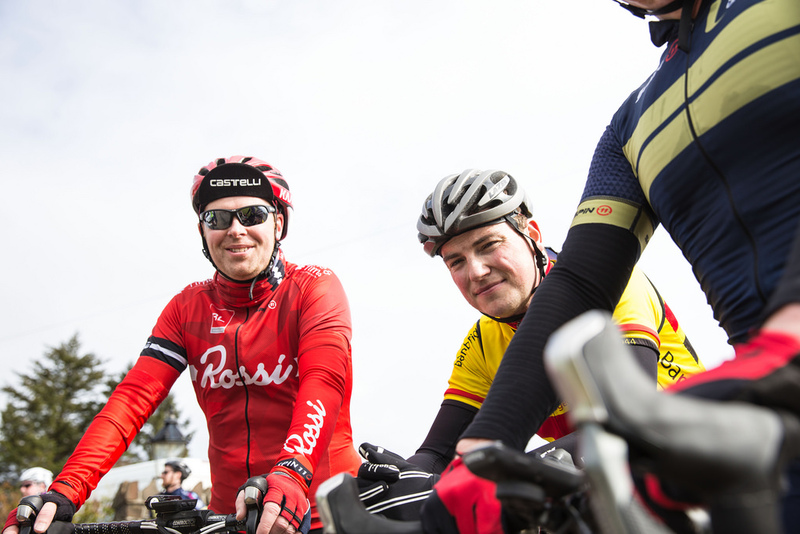 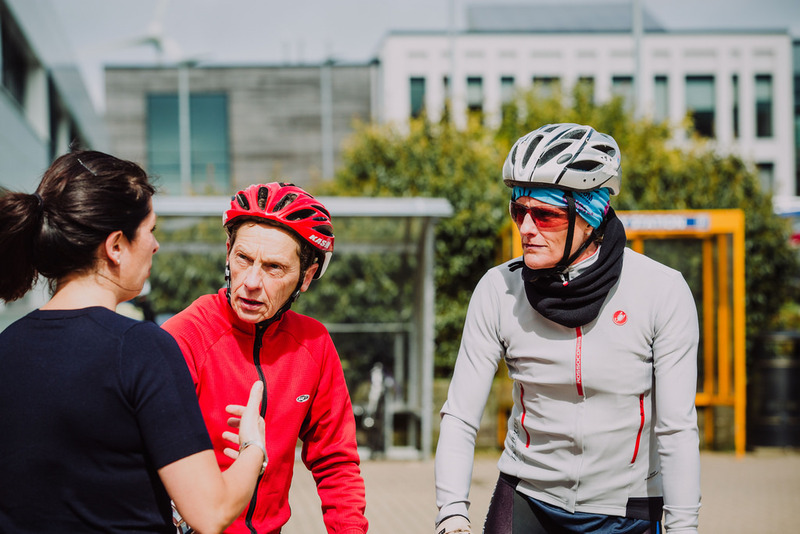 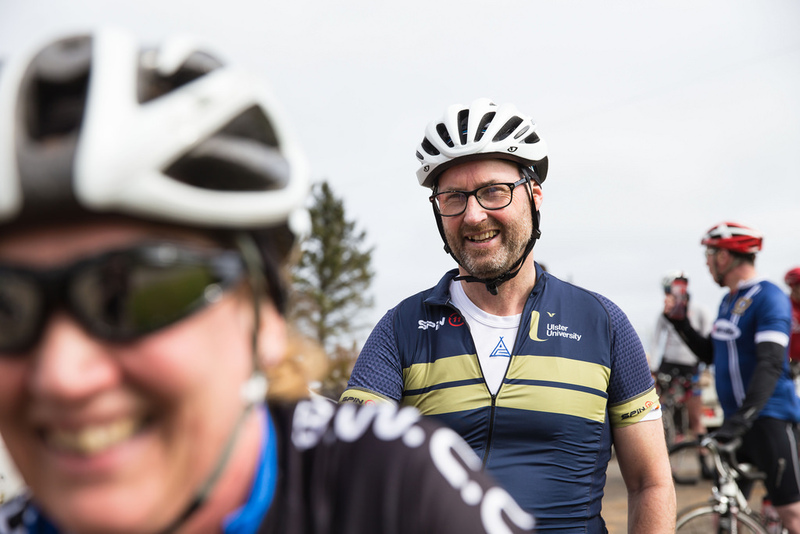 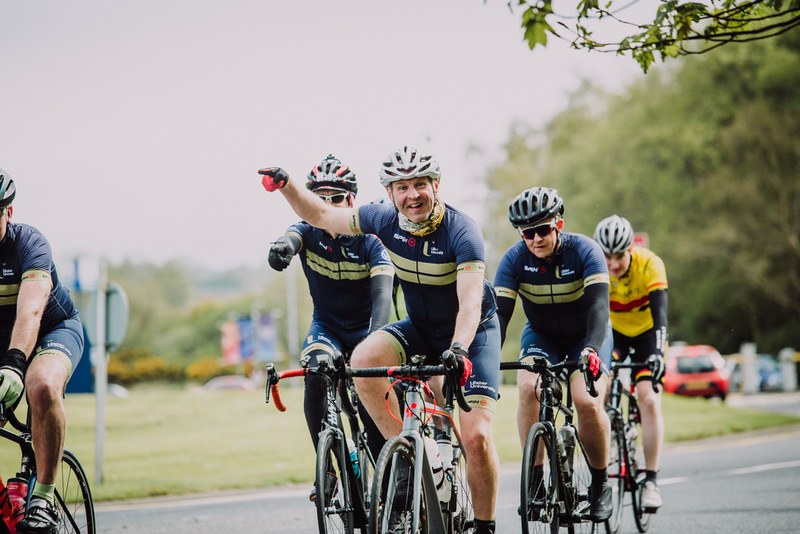 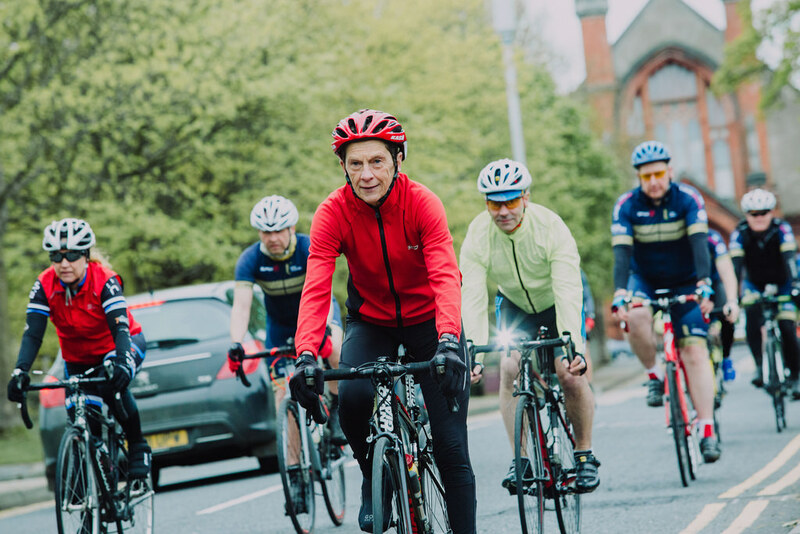 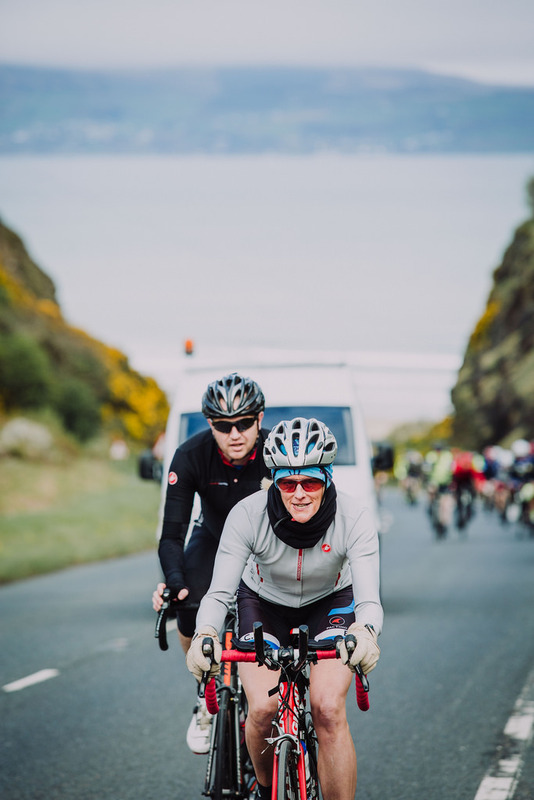 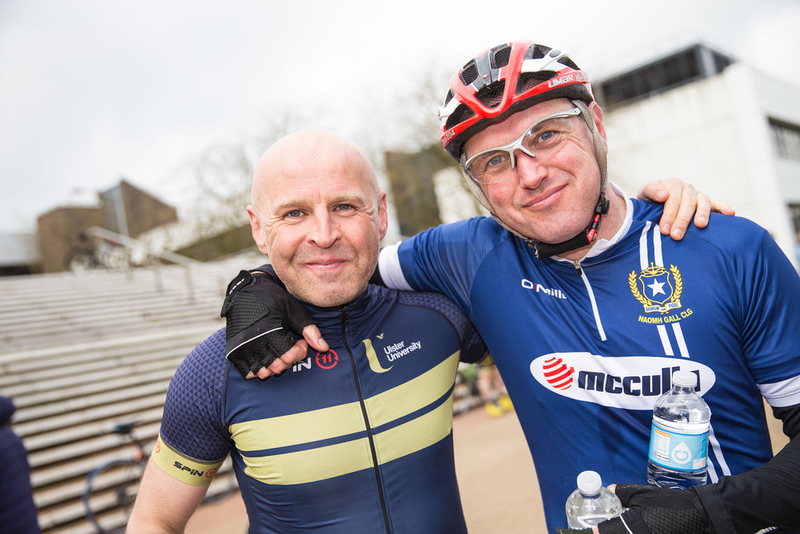 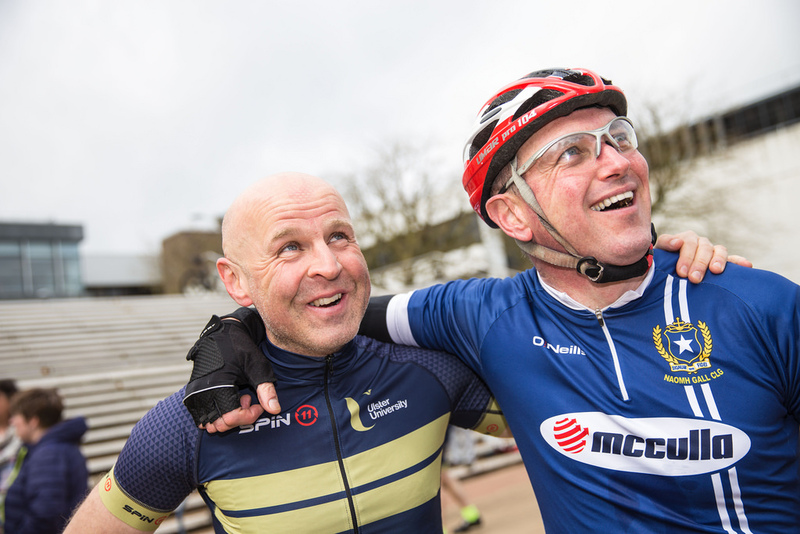 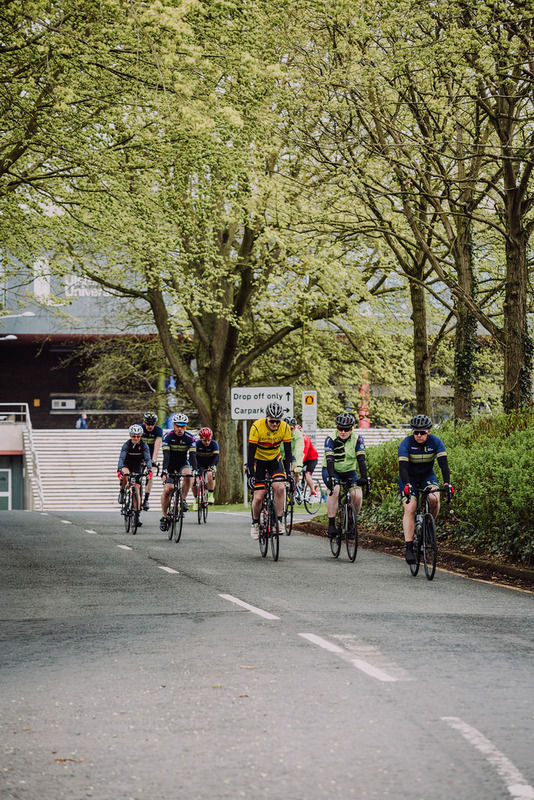 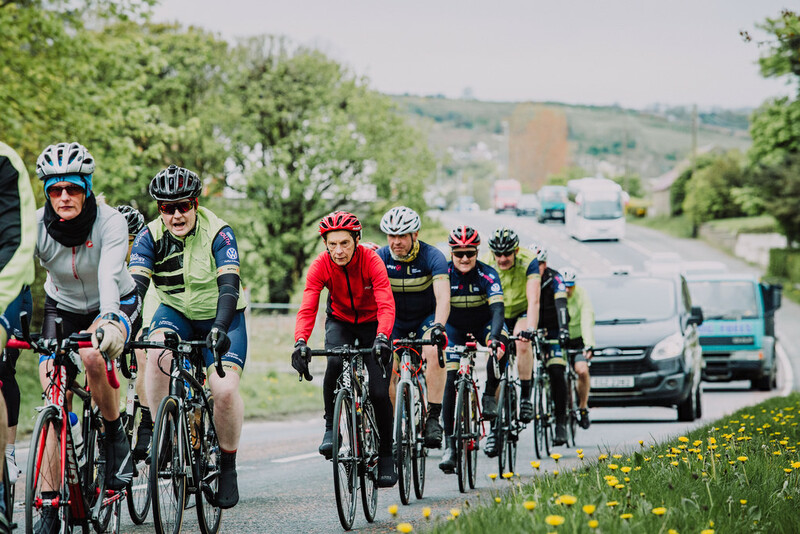 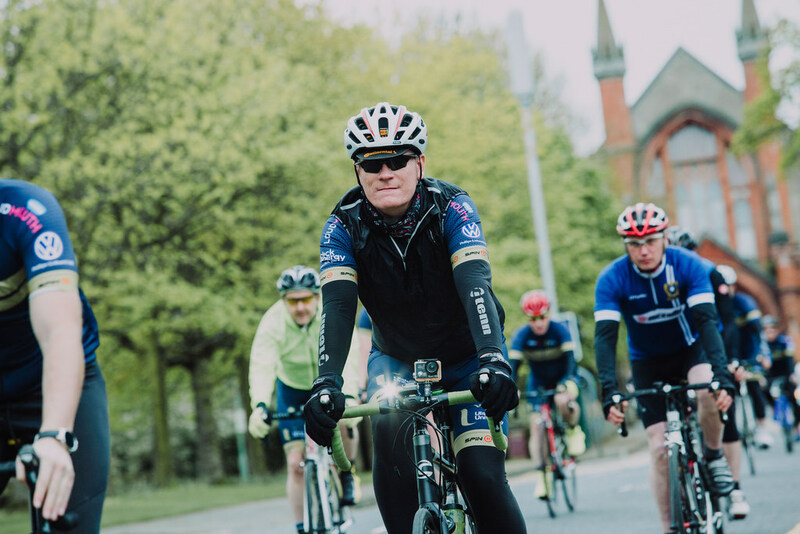 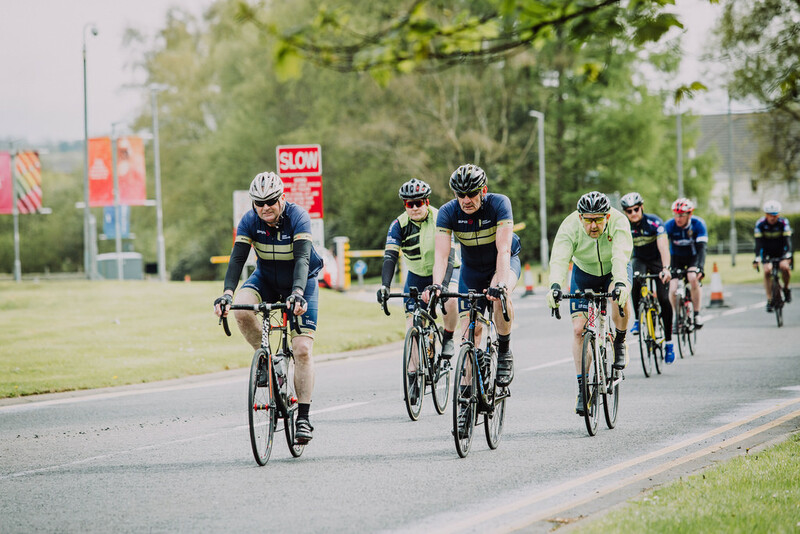 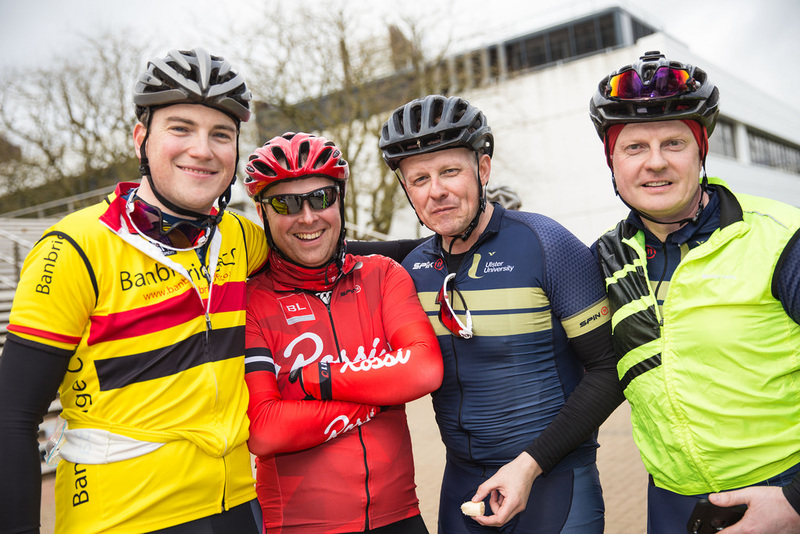 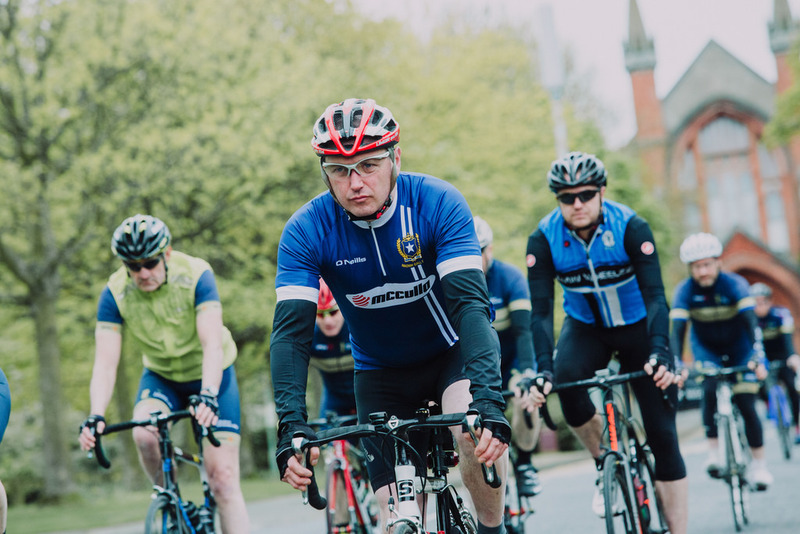 Under the leadership of two staff members, Paul Quinn and Martin McGinn, a group of 25 cyclists, made up of students, fellow staff, graduates and friends, left the Magee campus early on 4th May on the second 4 campus cycle. 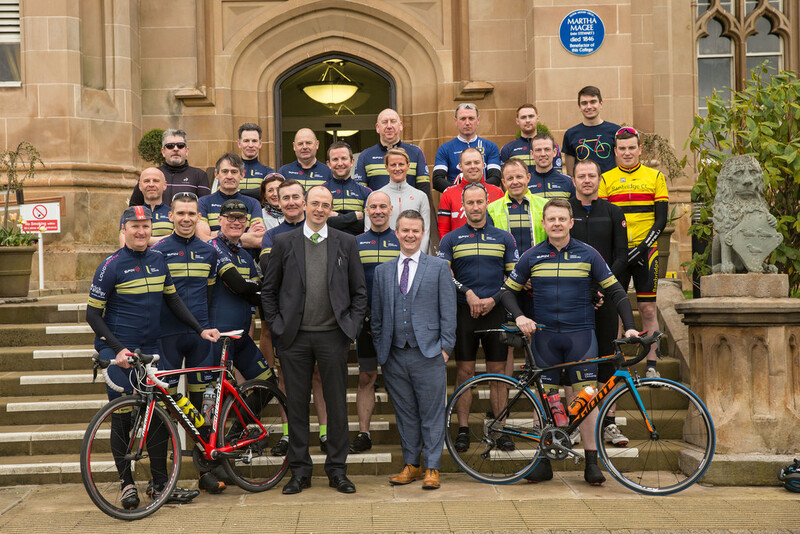 They travelled via Coleraine, Jordanstown and finished in Belfast in the afternoon to a warm welcome. 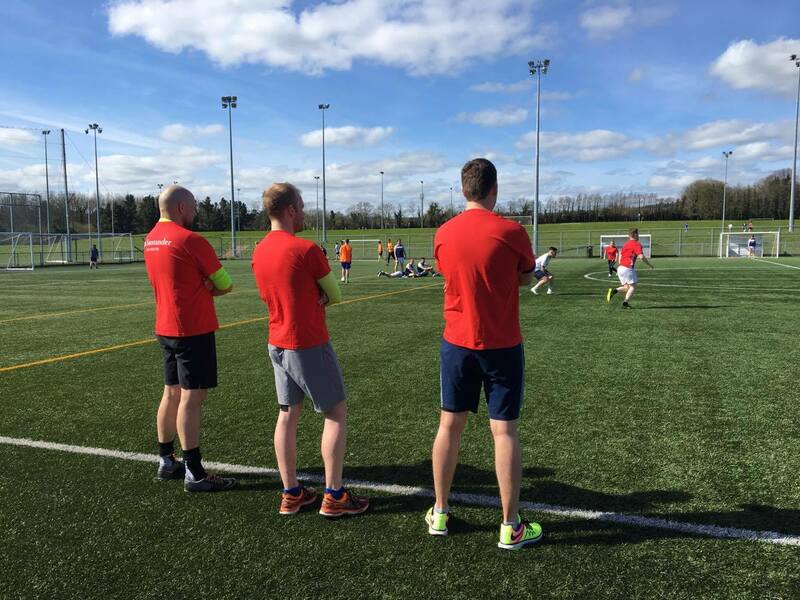 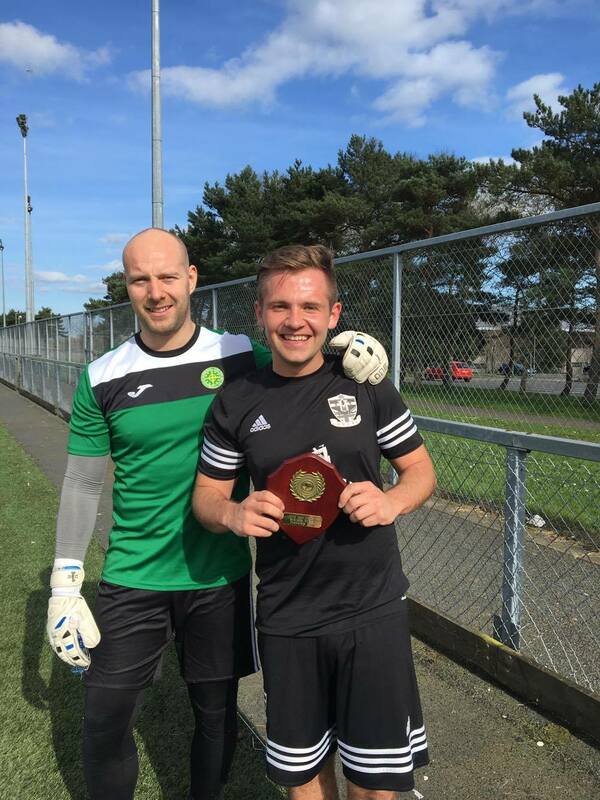 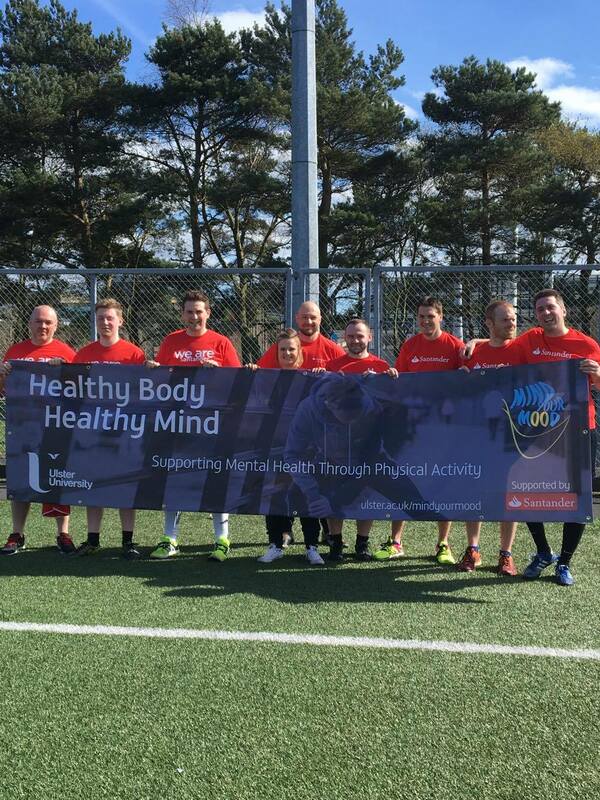 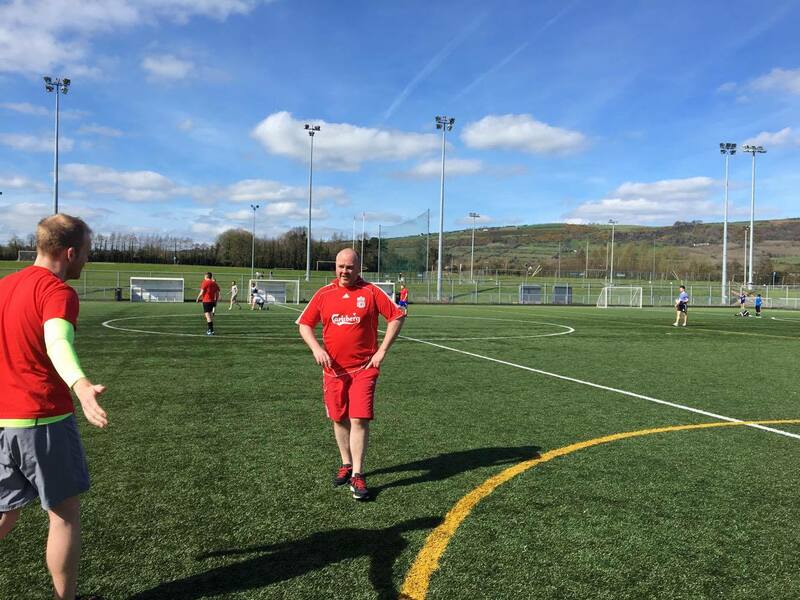 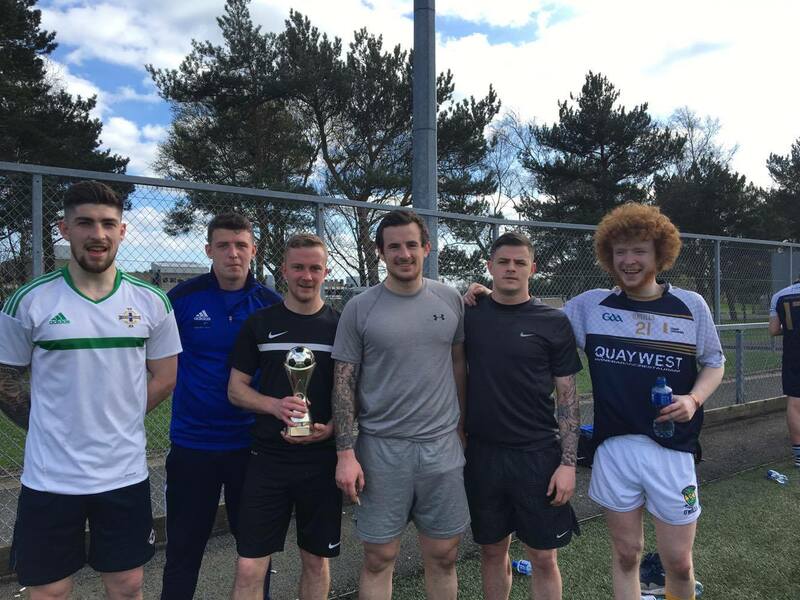 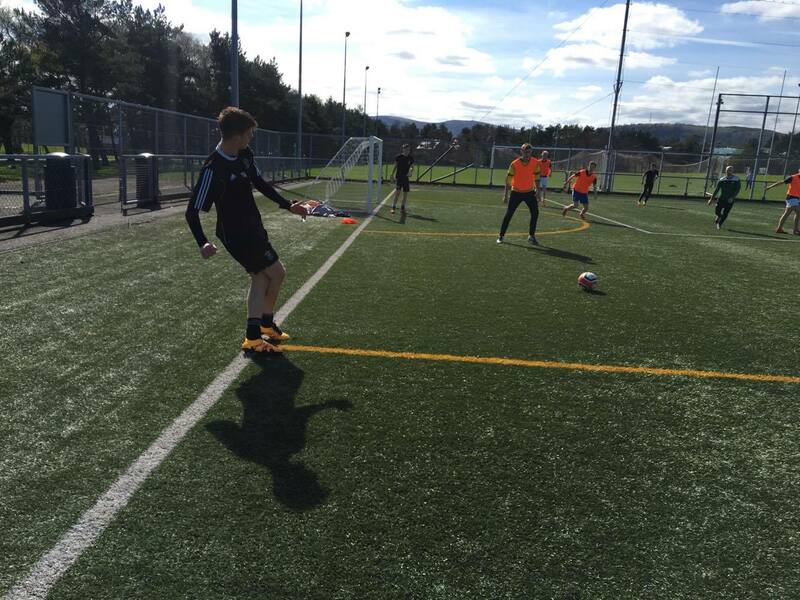 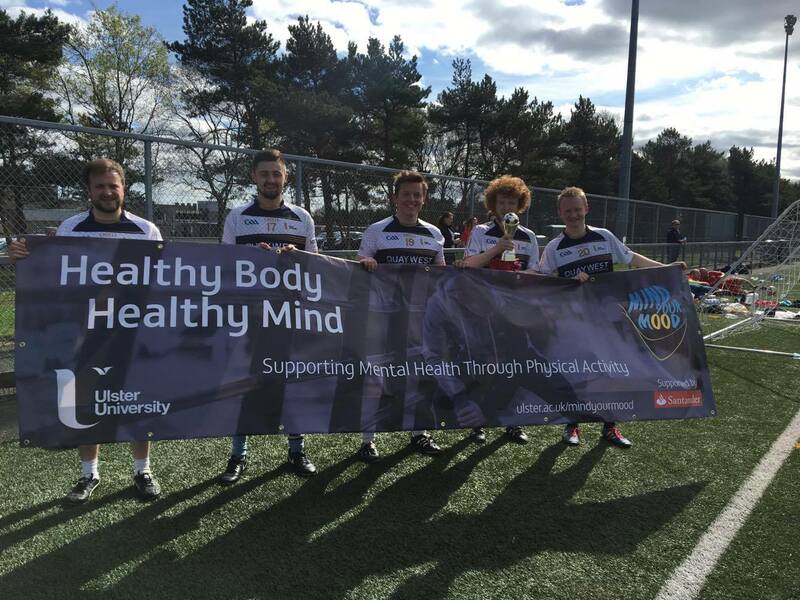 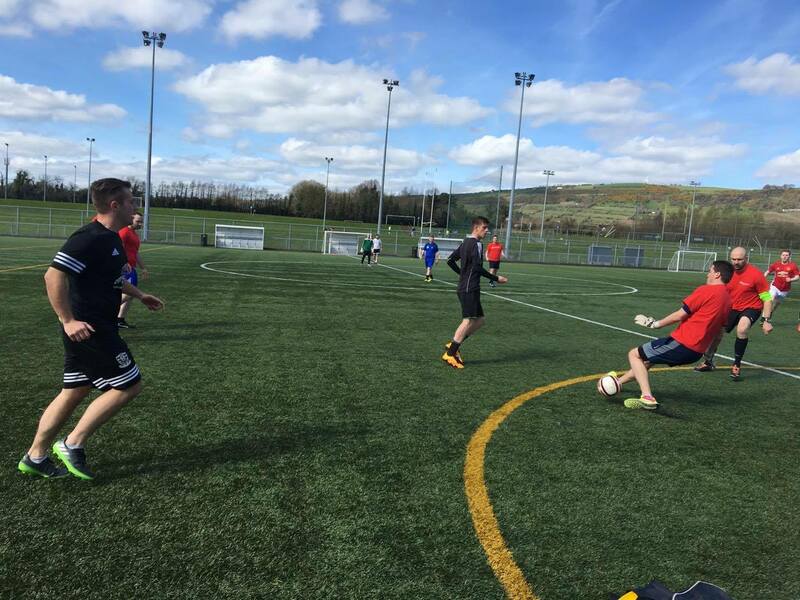 Thank you to the group of players (and non-players) who took part in the inaugural Mind Your Mood football tournament at Jordanstown. 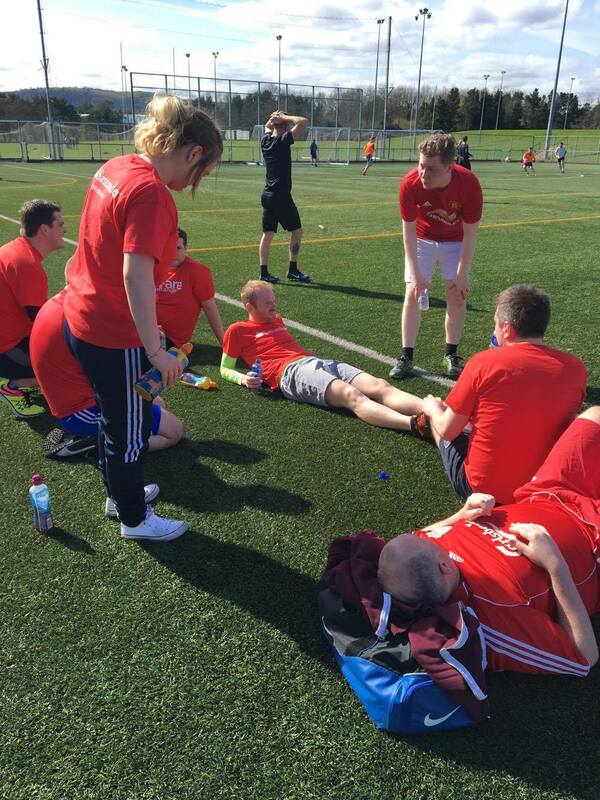 A great day was had by all and a special thank you must go to all the Santander University staff who took part in supporting this fund day of fundraising. 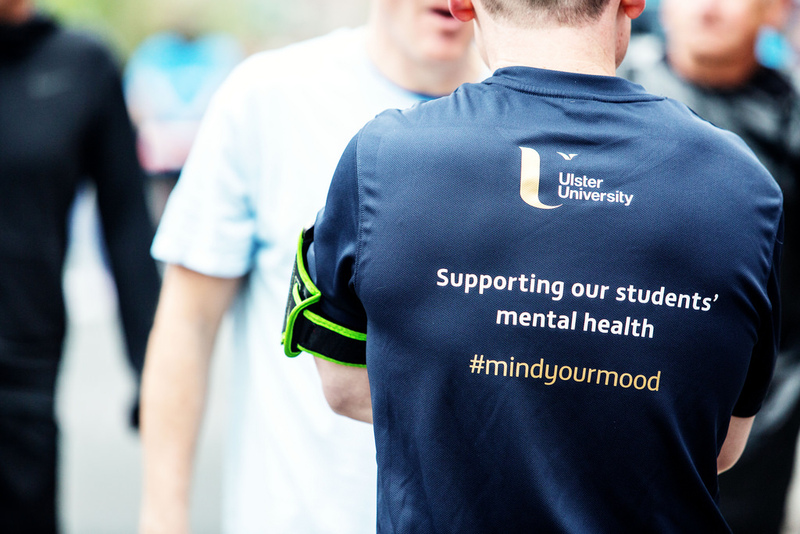 Our colleagues in Student Support have been overwhelmed with the response to the fundraising campaign to support the Mind Your Mood programme. 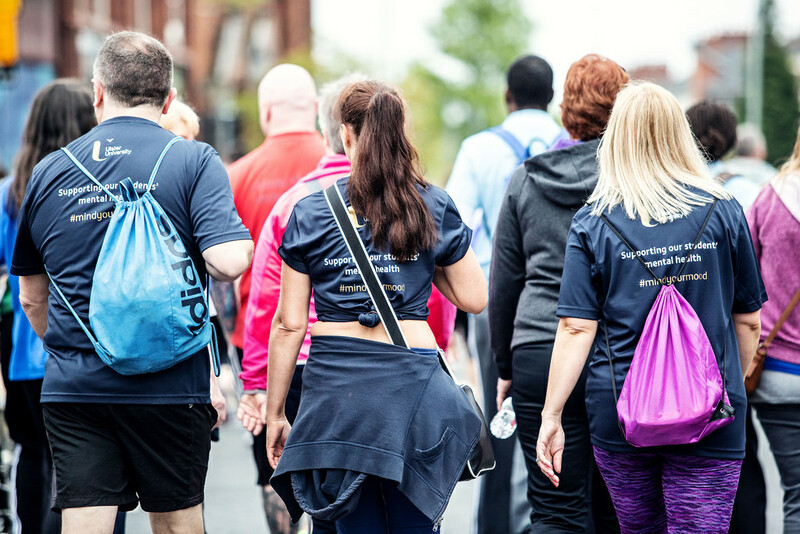 Every extra penny means we can build on the huge success of the programme in 2017. 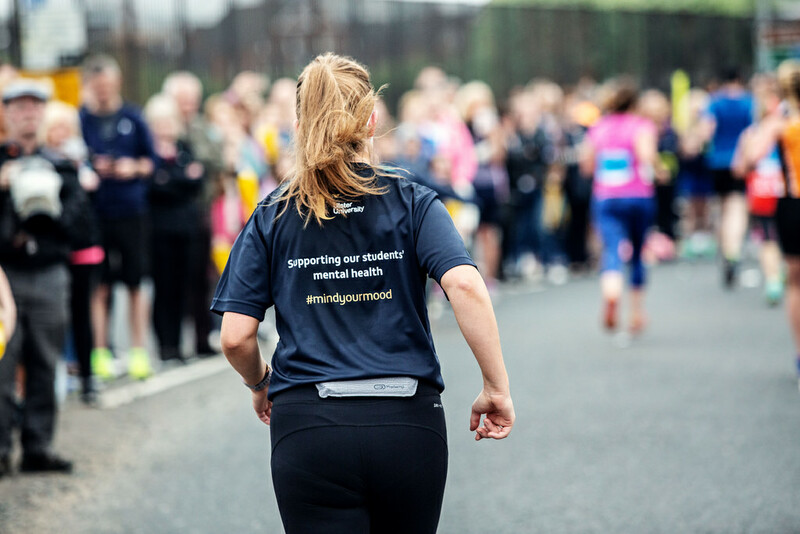 There is always more we can do to ensure we reach those students most in need – whether it is simply, but crucially, raising awareness and destigmatising mental health issues, building resilience or providing interventions at all stages of mental illness. 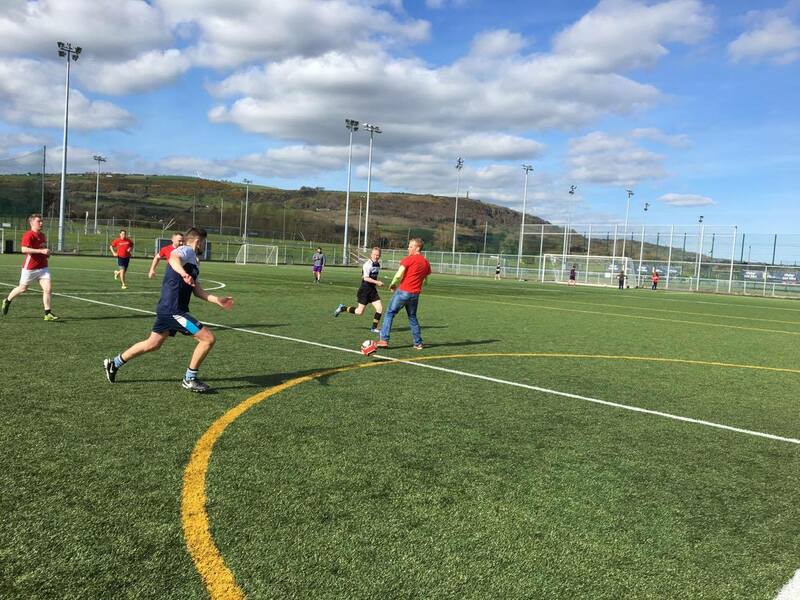 More funds means more activity to support our students.